A household consists of a thousand moving parts. If you count trinkets and paraphernalia into that mix, then the number of constituents is pretty much endless. This is why every home needs reasonable storage solutions, especially if you are prone to hoarding. Thankfully, in the times of eco-friendly trends, there are many storage ideas out there that are truly inventive. If you are thinking about the balance between storage and sustainability, here are the most sensible solutions for your home. There are many sensible green home renovation techniques out there, some of which are obscure while others are known around the world as go-to practices that simply work. For example, vertical storage is warehousing 101 and a solution that can virtually save your household should you choose to implement it. Simply speaking, the amount of square footage and resources you can save by going vertical is immense – it is the most logical eco-friendly step. On the one hand, you will invest in the future, on the other, you won’t have to spend money on the additional building. Furthermore, storage that spreads floor to ceiling and across the wall can also serve as an additional layer of sound-heat insulation. Armoires, old cupboards and stylish vintage cabinets are perfectly fine aesthetic choices that are recommended by interior designers around the world for people who want eclectic combos. However, if you are a green thinker, the first question you should ask if whether it’s functional and space-saving? Aesthetics are secondary when you are looking into superb adjustable shelving for the most flexible solutions, though they can look absolutely crisp should you choose well. What you’ll want is a storage option that consists of numerous modular units which can easily be rearranged according to the changes in your interior. This way you’ll have future-proof durability and flexibility. Do you want your sustainable storage units to be built from zero? If you want to keep the process eco-friendly you should consider reused or recycled materials, especially if you require fine wood and stained wooden surfaces in order to keep the storage in sync with the rest of the room’s overall style. Thankfully, it has become so much easier to find retailers that deal in reusable goods, as well as carpenters and other building professionals that have a lot of experience with recycled materials. In addition, you can go with sustainable materials if you want them fresh – for example, cork and bamboo. However, you should keep in mind that these are not as flexible as some less-sustainable variants. Do you own a garage, a shed or an exterior storage space of some shape and form? If you do, you might want to consider moving as much as you can out of the house and pushing it into that storage. Typically, this will be a garage wall reserved for storage units. Whether it’s simple pallet racks made out of (recycled) plastic or full-fledged cabinets, keeping most of your clutter out of the house gives you more elbow space to arrange the interior according to your wishes. Plus, it will keep the otherwise cluttered rooms larger. You may also want to bring more sustainable lighting solution in the proximity of your storage so it would become easier to see what hides behind cabinet doors. Of course, only LED or CFL lights should be considered in this case, as they do not only waste less energy but last significantly longer than incandescent bulbs. A cluttered home looks messy, ugly and, let’s be perfectly blunt, downright depressing. If you want to avoid the horror of clutter, you should consider the sustainable storage solutions mentioned above. Implementing at least one of them can make a lot of difference, so you’ll probably want to go all the way with these sensible solutions for your home as soon as you try one method. 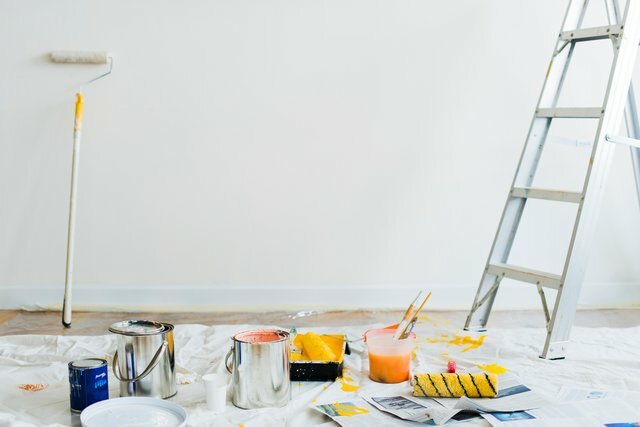 After a while, every home could use some updating and freshening up, whether to match your needs better or simply to make it look more visually appealing. This is especially true if you are happy in your home and are planning on living in it for many more years. Although some eco-friendly renovation projects require quite an investment, you can rest assured that those investments would be worth it. Plus, there are many both affordable and eco-friendly ways to renovate, and here are some you should consider. If you’re planning on replacing your old kitchen appliances, look for those that are energy-efficient. You can recognize them by the Energy Star logo on them. Larger kitchen appliances, like refrigerators, for example, can use quite a lot of energy, which means that they can also cost you a lot and for a long time. This is why investing in energy-efficient appliances – even though it might cost a bit more initially – can save you money in the long run. If there’s an item that you’re thinking about replacing, and you won’t need it anymore, don’t throw it away. You can always give it to charity, or you might even have a friend who could use it. Moreover, there are many organizations that welcome such items, like Habitat for Humanity, for instance. In short, there are ways not just to be eco-friendly with your unwanted items but to actually give back to the community as well. Using recycled materials for your renovation, like reclaimed wood, would help reduce waste. Plus, it would preserve nature simply because there would be no need to cut any trees. Plus, there are many salvaged materials that are both durable and visually appealing, so nobody would even notice that your new item is made of recycled materials. For example, bio-glass looks just like any other “new” glass, but it’s completely eco-friendly, which makes it a perfect choice. You don’t need to replace everything in order to upgrade the appearance of your home. For example, instead of buying new kitchen cabinets, you could simply repaint them and replace only the knobs. Plus, even small changes can make a difference; you can switch one wooden cabinet door with a glass door. It would emphasize the items you keep in that cabinet, and it would make your kitchen look much more interesting. 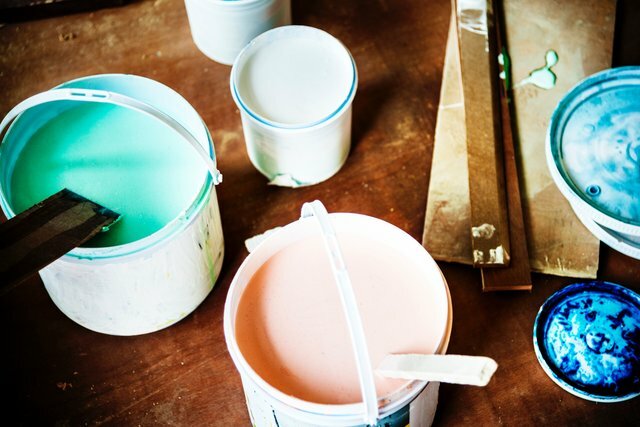 If you’re thinking about repainting your home, make sure to use VOC-free paint. VOC, or volatile organic compounds, are chemicals that can evaporate and harm your health. Also, if you’re planning on repainting your exterior, keep in mind that safety comes first, especially if you’re doing it on your own. Therefore, think about getting some quality scaffolding so you can paint the upper parts of your house without using uncomfortable and unsafe ladders that you’d have to move every few minutes. Moreover, if you can’t afford to repaint your entire exterior, think about repainting just your front door, your house numbers, and perhaps your mailbox. It would spice up the appearance of your home, and it would definitely give it a new feel overall. If insulation is a part of your renovation project, make sure to choose a high-quality one. The better insulated your home is, the less energy you will use on heating and cooling it. In other words, it would definitely pay off sooner than you might think. Just don’t forget to do your research on the eco-friendly insulation options, since the insulation itself is not the only possible eco-friendly aspect of the project. Going solar is a great way to make your home more eco-friendly. Besides preserving the environment, using solar energy can also reduce your electricity bill. However, you should know that there are ways to use the power of the sun that don’t include spending money on solar panels. For example, you can plant seasonal trees in your yard, which would block the sunlight in the summer but let it through during winter. Or, you could add smart blinds and heat-reducing films to your windows. Another great way to make use of the sun is adding some skylights in order to let more natural light into your home. Of course, you don’t have to install them in every room of your home; you can place them in the most commonly used areas, like your kitchen or living room. Just don’t forget to install automated blinds as well, so you can block the sun when needed. If you place them correctly and use them to the fullest, skylights could also help you reduce the amount of electricity you need. If you’re looking for a way to renovate your home while preserving the environment at the same time, consider some of the above-listed suggestions. You would feel much better about yourself, knowing that you’re making a difference, and you’d save some money in the long run as well. Air conditioning is one of the crucial components for creating a pleasant, comfortable atmosphere in a commercial environment. However, choosing the right air conditioning system for a specific commercial property is of the utmost importance. Not only will the system be more effective, but it will also provide owners with more savings opportunities. For instance, a single-split air conditioning system is more appropriate for small commercial buildings, such as small offices, cafés and shops, because they cool down and heat up individual areas. On the other hand, a multi-split AC system is more appropriate for restaurants, shops and offices because a single unit can provide heating and cooling for up to nine indoor areas. Finally, VRF (variable refrigerant flow) or VRV (variable refrigerant volume) systems are suitable for medium to large spaces, such as hotels, spacious offices, retail spaces and mixed-use properties, since they can meet complete heating and cooling needs of a large building. The first step in maximising the energy efficiency of your commercial AC system is conducting a comprehensive energy audit. This will provide you with a clear insight into the building’s energy consumption, which will enable you to identify possible areas for improvement. Performing an audit will also help you address certain HVAC problems more efficiently. 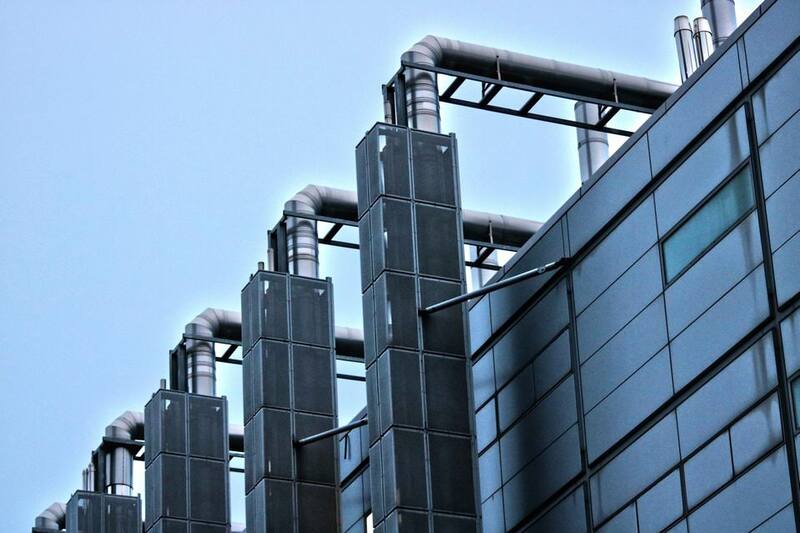 Your commercial HVAC system can have a crucial impact on your building’s energy consumption. Since it accounts for around 50 percent of your company’s energy consumption, it’s essential that you ensure that your HVAC system runs efficiently. If it’s damaged, aged or improperly installed, it will consume more energy without providing you with the desired results. Proper and regular maintenance, retrofitting and proper installation are key to your HVAC system functioning properly. AC units need to be regularly checked, properly maintained and repaired in a timely manner. Otherwise, their air filters can become covered with mould and dust, which will hinder their performance. An overlooked damage can lead to more serious problems and drastically increased energy consumptions. Therefore, proper maintenance and regular checks are of the utmost importance for preventing unnecessary costs and increased electricity bills, reducing your energy consumption by up to 40 percent. However, you should always leave this job to experienced professionals, especially in countries like Australia where unlicensed work is strictly prohibited. 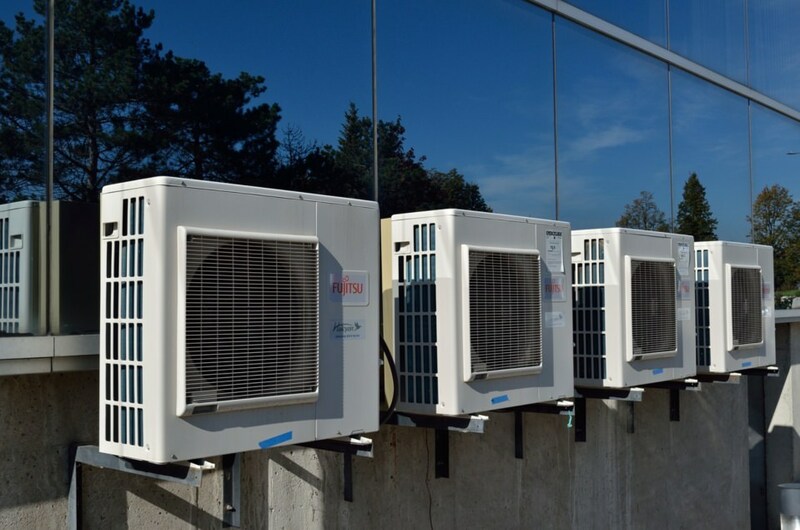 Namely, professionals for air conditioning in Sydney specialise in commercial AC maintenance and repairs, ensuring that their clients’ units are functioning properly. Thus, you should always hire highly trained and licensed technicians to make sure that the job is done properly, quickly and efficiently. Maintaining a stable indoor temperature can be quite challenging, especially in spacious commercial buildings. Frequent fluctuations often cause tenants to keep the AC units running at all times, which consumes a lot of energy. Sometimes these units are even left overnight in order to create a comfortable atmosphere that occupants will enjoy. However, by installing programmable thermostats and smart tech features, you can easily solve this problem. They will help you maintain a pleasant indoor temperature by adjusting it depending on the time of day, or the presence or absence of tenants. Certain configurations can also be set up to help you conserve energy. For instance, these high-tech features can turn on air conditioning right before the opening hours. Proper and quality insulation of your commercial space can also help you reduce your energy consumption and create a more comfortable indoor atmosphere. By insulating walls, floors, ceilings and attic, you can prevent heat loss or gain during winter or summer. Consequently, this will reduce the need for your AC system, enabling you to increase your savings in the long run. Improved insulation can help you cut your energy bill by up to 10 percent. Properly sealing the heating and cooling ducts of your commercial HVAC system is a simple upgrade that can enhance the energy efficiency of the system by around 20 percent. There are different ways to seal the ducts. For instance, blown-in duct sealant or mastic, foil tape can be used for this purpose. They can also be wrapped in insulation for enhanced efficiency. It’s advisable that you tackle the unprotected areas first, such as storage spaces or areas underneath the building. Of course, you can always leave this job to experienced technicians who can apply the most appropriate sealing solutions. 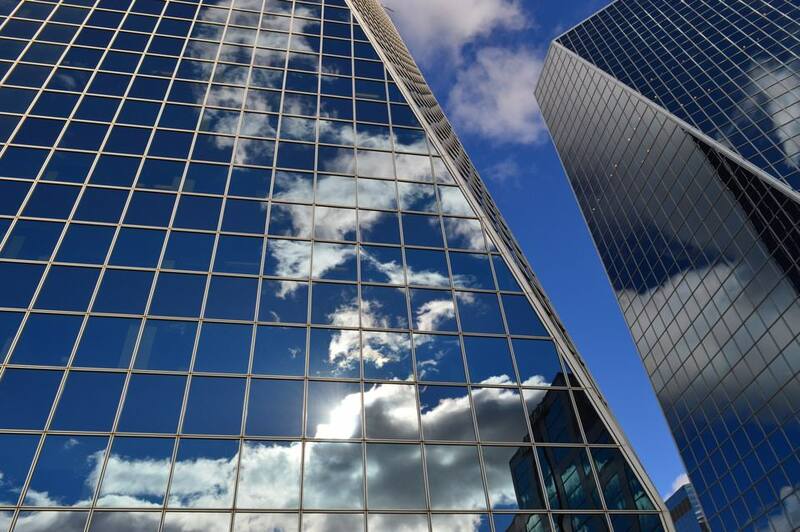 After choosing an AC system appropriate for your commercial space, you should apply different measures that will enhance its sustainability and energy efficiency while also providing you with money-saving benefits. Today it’s hard to find reasons against going solar. Between the two most obvious motives – cutting on energy bills and protecting the environment, homeowners can hope for solid solar ROI, increasing their home equity, state tax rebates and investing into the future. 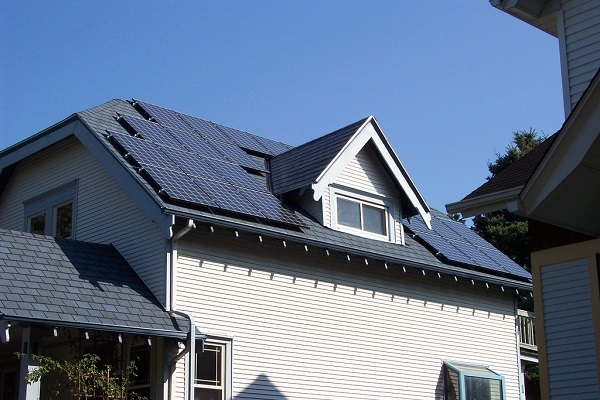 What is more, many people are becoming aware that solar panels are a great home upgrade. Whichever your reasons may be, let’s elaborate on the most solid benefits of going solar. 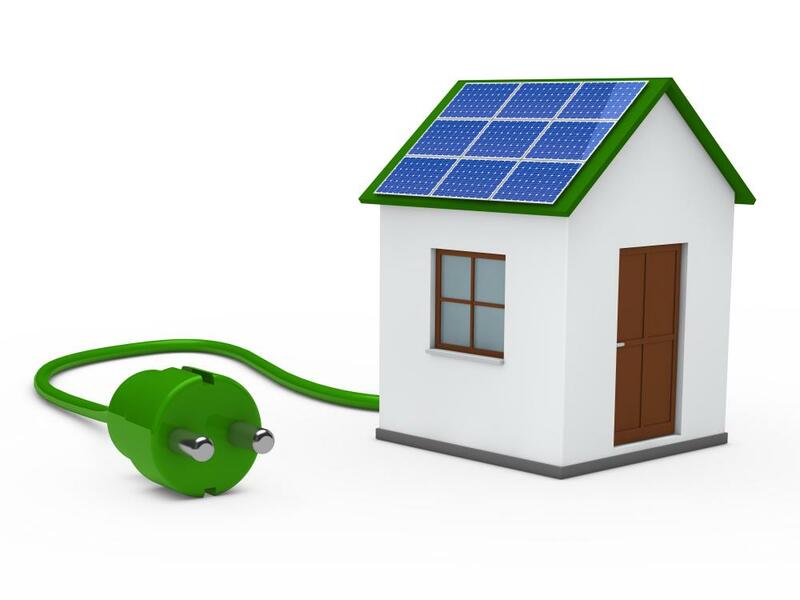 Adapting your home to run on solar power can either obliterate your energy bill completely or reduce to such an insignificant figure that it becomes just a statistical entry in your budget. How much you’ll be able to save depends on many factors, such as how much energy your home consumes, and the rates you’d otherwise pay to your utility company. If, for example, the electricity rates are high in your area, your savings will be larger since they equal the cost you avoid by going solar. As electricity prices are inevitably going to rise over the years, your savings will continue to grow over the 35+ year lifespan of your solar equipment. So, by installing a solar power system, not only do you reduce your electricity cost, but you make them more predictable, which in return improves your expense forecasting and management. Let’s face it, a solar panel system is a financial product which is bound to generate annual returns from 10 to more than 30 percent. An average homeowner pays off their solar purchase in seven to eight years and receives a healthy ROI in the form of free electricity for the remainder of the equipment lifespan. What is more, there might be local or state tax programs or rebates in your area that motivate homeowners to adopt solar power. Some utilities have a market where you can sell Solar Renewable Energy Credits (SRECs) that your system generates. This additional income will help you get to the even point even faster. If you think about it, by going solar, you also protect yourself about rising utility prices and make your expenses more predictable year after year. Since you are your own energy provider, you can sit back and watch the energy prices rise and fall. For example, if electricity prices continue to rise by three percent each year, you can have an extra $1,200 in your pocket a year from now, provided that you purchase a system that meets 100 percent of your energy needs today. 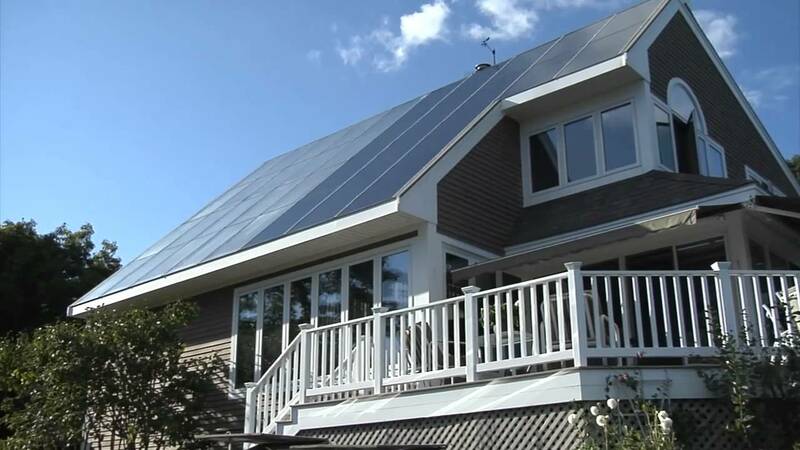 Easy to integrate in your home and unobtrusive, a reliable 5kWp solar system is sufficient for households that want to experience all the benefits of renewable energy without compromising their lifestyle and routines. With these units, living off the grid gets a whole new meaning. 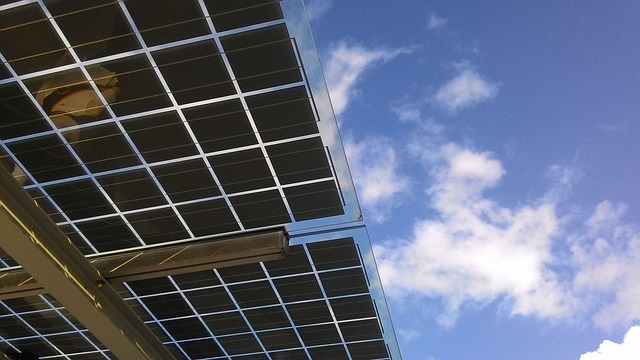 Even if you lack funds to pay for a solar energy system up front, you can apply for a solar loan, solar lease, or solar power purchase agreement. 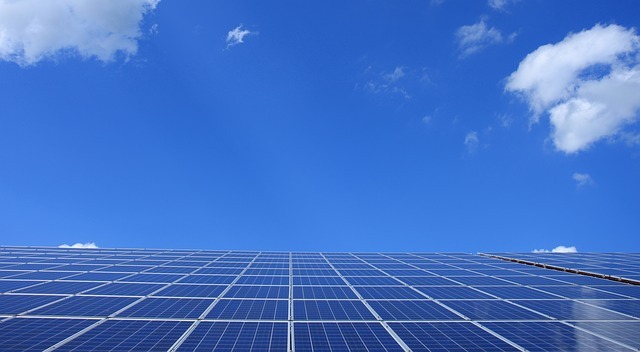 Many businesses and non-profit organizations go solar because they want to contribute to minimizing environmental issues like climate change and carbon emission-related health problems. There’s not a single reason why individual households shouldn’t follow suit, especially if we know that an average household emits about 20 metric tons of carbon pollutants each year. And while a single home or small business that goes solar barely makes a nick in the pollution mountain, the joint effect of building owners adopting solar systems across the country is guaranteed to make a lasting effect. As the number of residential solar installations grows, we move away from our dependency on fossil fuels and closer to clean energy that rises and sets every day. Solar energy perks, however, are not only benefiting individuals and national economies. Our collective transition to commercially viable solar solutions is one of the most tangible scenarios for cleaner and more sustainable environment. Once, the use of solar energy seemed like a distant concept of the future. Nowadays, it has become integrated into every aspect of the modern life. While eco-consciousness is expanding, the prices of solar panels are dropping, making this source of sustainable and renewable energy available to everyone. Furthermore, owing to technological advances, there are numerous innovative ways to use solar energy today. Numerous gadgets and electronic devices have become an integral part of the modern life. No one can deny the fact that they facilitate our everyday lives significantly. However, such a reliance on tech devices leads to increased power use worldwide. Fortunately, solar energy can greatly alleviate the pressure put on the environment’s finite resources. Nowadays, an increasing number of devices and gadgets are becoming solar-powered owing to innovative tech features. 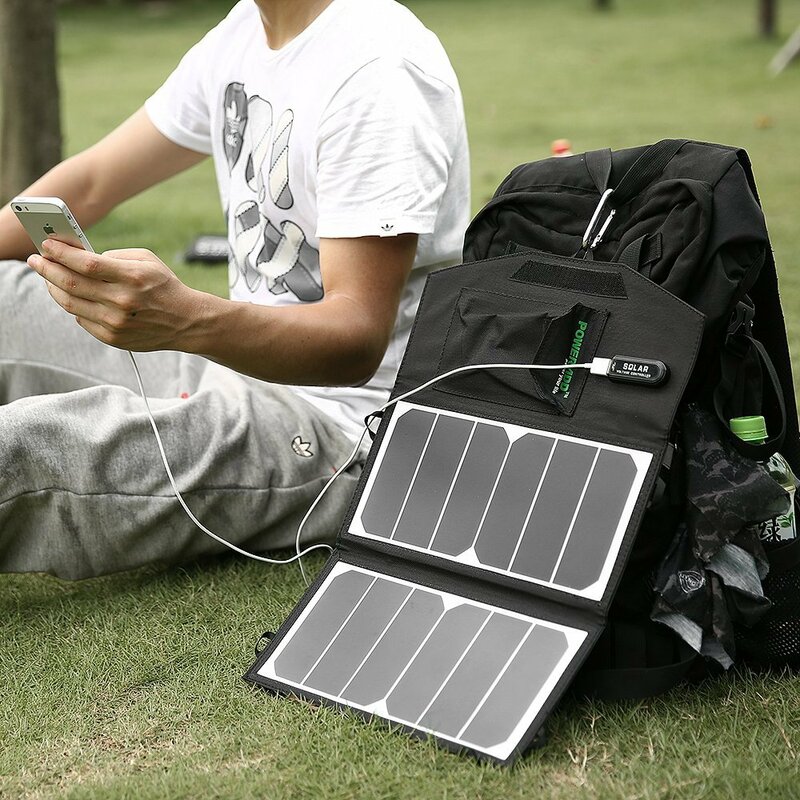 Solar-powered charges are easy to use, safe for the environment and versatile. Some charges can power various electronic devices, from smartphones and tablets to e-readers. Other devices are also becoming solar-powered, including smart watches, rechargeable flashlights, music speakers, etc. Owing to their eco-friendliness and profitability, solar water and space heaters are being increasingly implemented in modern homes. These solar-powered devices are generally affordable and definitely energy-saving. Solar space and water heaters harness natural light and use liquid or air to transfer it into thermal energy. Depending on whether they use natural circulation or pumps, there are passive and active solar heaters. Furthermore, a solar-based thermal energy can be used to heat up pools at a substantially lower price than regular heaters. This technology truly pays off in the long run by reducing a household’s energy use, bringing from five to ten percent return on investment. Rooftop solar panels are still one of the most significant and effective upgrades when it comes to green technology. Energy generated by solar panels can be used to power an entire household, leaving homeowners with numerous benefits, including reduced energy use and decreased carbon footprint. 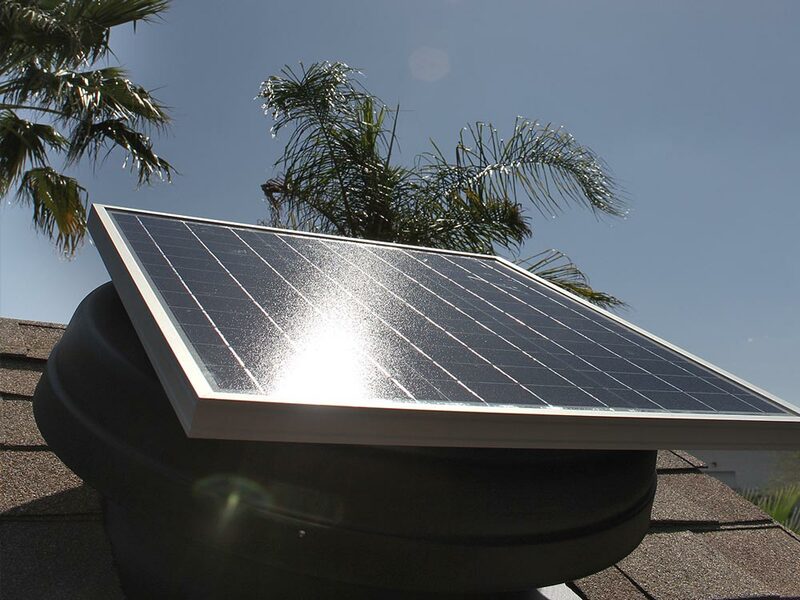 In addition, innovative SMA inverters for solar panels have become an essential component, enabling homeowners to monitor and manage their systems and analyze data. Although the initial costs of installing solar panels may be a bit higher, this green upgrade is a long-term investment that can completely eliminate owners’ dependence on the grid. As one of the most common uses of solar energy, solar lighting has become a standard in numerous homes. Both interior and exterior lighting can be solar-powered, with outdoor lights being extremely easy to use. Wireless exterior solar lights can be simply placed outdoors because they don’t require any installation. After harnessing sunlight throughout the days, exterior lights can shine through the night. 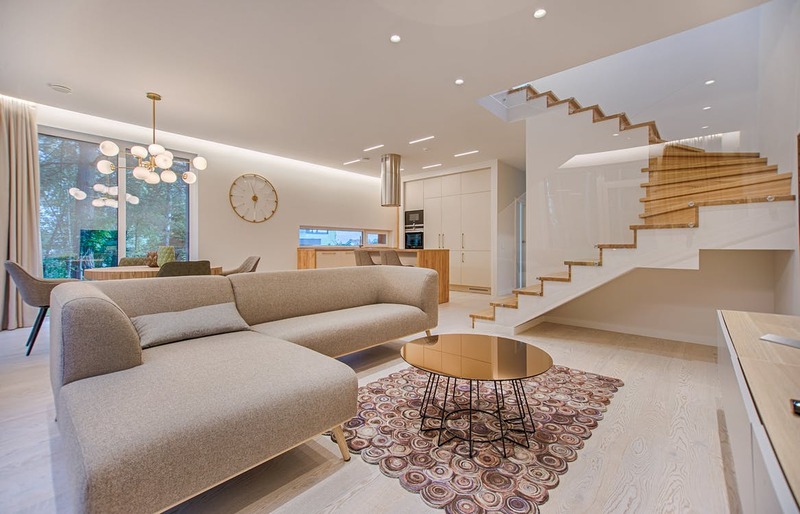 When it comes to interior lighting, it can be connected to solar-powered systems and batteries that generate electricity during the night. Ventilation systems and units are a major power consumer, both in residential and commercial buildings. They are used to maintain a pleasant temperature, reduce humidity and eliminate odours. Consequently, they require a substantial amount of energy, which affects both homeowners and the environment. Solar-powered fans, on the other hand, harness sunlight and are easy to install and maintain. Not only do they have a positive impact on the environment, but they are also a cost-effective alternative that can keep any home comfortable. Considering the fact that transportation around the world leads to enormous greenhouse gas emissions, the use of solar energy can truly make a difference in this aspect. While the potential of this technology is still not completely utilised, it’s becoming more and more implemented around the world. Solar cars are one of the most common technologies, especially in Australia, while solar buses are working their magic in China. Recently, even a solar-powered aircraft, called Solar Impulse 2, traveled around the world and across the Pacific. It’s only a matter of time when solar-powered transportation will find a wider application on a global scale. Solar energy is a suitable and renewable source that offers numerous benefits for the modern society, its members, and the environment. Ever since the Internet was commercialized back in 1990, organizations began to grow rapidly and they started to move their businesses online. However, the rise of technology has also brought enormous energy consumption and slowly but surely, large organizations started causing significant damage to the environment. Nowadays, both small and large organizations are getting more eco-friendly and are putting further effort into keeping the environment safe by utilizing green technology and green hosting solutions for their business operations. 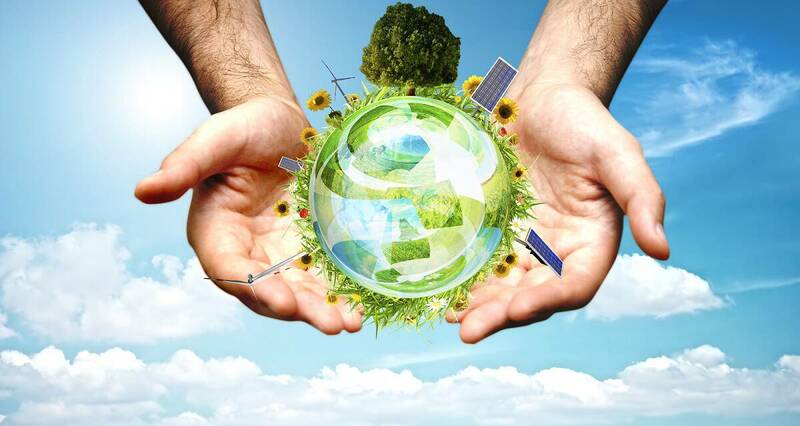 Here are a few benefits that eco-friendly hosting solutions can offer to your business. Going green with technology can greatly benefit your business, regardless of whether you run a small or large business. Reduce energy costs – Green technology offers you the opportunity to reduce energy consumption and also reduce the costs on your energy bills. For instance, energy-efficient lighting such as CFLs and LEDs use 25-80% less energy than standard light bulbs and they can last 3-25 times longer. More customers – Today, consumers are more environmentally aware and they favor businesses that are green over those that aren't. In fact, businesses that utilize green technology will attract more customers. Socially responsible – Business that take care of the environment and are eco-friendly enjoy a good reputation. For example, millennials who are the largest group of consumers nowadays prefer to do business with eco-friendly brands. 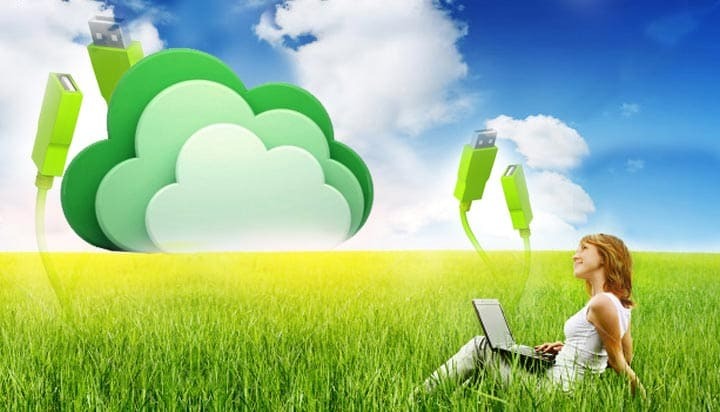 Green cloud services are concerned about the environment and they utilize energy-efficient methods and natural resources to maintain their servers. That's why large organizations such as Google, Microsoft and Apple are opting for green cloud computing and green hosting services. Even smaller business can switch to more green solutions such as cPanel hosting and benefit from eco-friendly cloud computing. Cloud services offer businesses a way of centralizing their servers, which eliminates the need for local data centers that consume a lot of energy. Moreover, cloud-based services offer a lot of benefits to businesses, the only difference is that green cloud computing is done in a more eco-friendly fashion. Eco-friendly hosting services not only benefit businesses, but the environment as well. By implementing the energy efficient methods for maintaining servers, green hosting solutions reduce the carbon footprint that companies leave behind and reduce both the energy and resources required to stay operational. Furthermore, green solutions also take care of proper disposal of electronic waste and proper recycling of electronics. Also, green hosting services implement renewable energy and natural resources such as solar power, wind and water to power the servers, which leads to significant decrease in carbon emissions. Eco-friendly hosting solutions enable businesses to operate at lower energy consumptions and reduce the amount of waste they leave behind. In addition, green solutions have a positive impact on businesses by improving their reputation and making them more socially responsible. In this day and age, the demand for nutritious, wholesome food has never been greater. Organic farms are sprouting across the globe, providing their families and communities with a constant supply of fresh produce. The export market potential is high as well, which means organic farmers have a chance to own a thriving business that transcends the borders of a local community. Starting and running an organic farm business is not a walk in the park, though: one has to grasp many factors such as a business plan, funding, machinery, soil, storage space, etc. This is to say that it is best to plan ahead, tread carefully, and go one step at a time. First off, you need to set emotions aside and get your priorities straight. Do you want to contribute to the environmental movement, launch a highly-profitable business, help the community, or just earn enough money to live on? Define organic farm goals and let them serve as your guiding light. Establish values you are going to uphold, as well as personal objectives. The next, more concrete step is assembling a business along with a first-year plan. These documents will steer your day-to-day hustle and long-term aspirations. It all starts with the process of obtaining the land and getting to know it: how big and fertile is it? 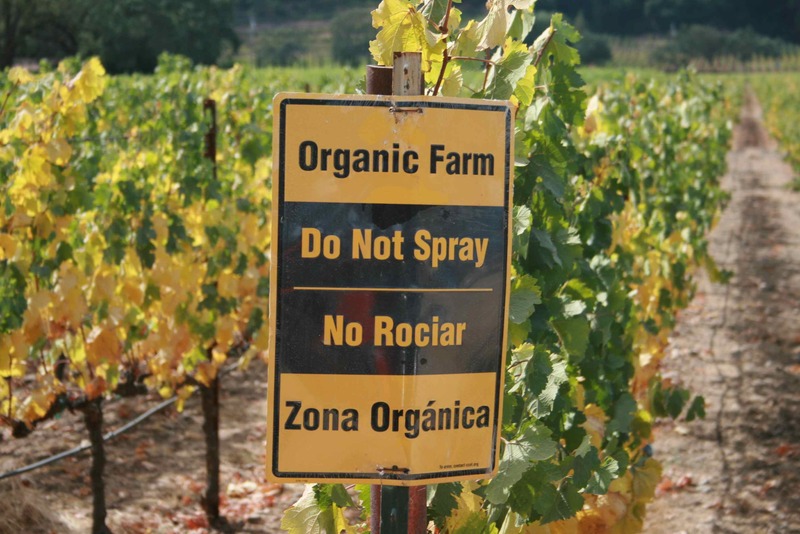 Bear in mind that in order to receive USDA organic certification, for instance, the land has to be free of pesticides and synthetic fertilizers for a period of three years. Factor in elements such as water availability and access because you need good drainage and good-quality water for irrigation. Make sure you can source the livestock and locate organic seeds and starts. The abundance of small game encourages farmers to raise free-range chicken, cattle, sheep, and pigs. Do the market research and identify your target customers. People interested in organic products tend to be more educated, affluent, and environmentally conscious. That is why many organic farms gravitate towards areas around urban centers. In any regard, the proximity of buyers is of the utmost importance. Therefore, see if they are in your neighborhood or whether you would have to dispatch your products miles away? Whatever the answer is, you have to ensure that there is a real need for your products, and ideally, a limited competition. Ample storage space plays a vital role as you have to preserve food until the moment it is sold. It also enables you to easily load, unload, and dispatch products. So, assess your storage needs, decide whether you want bulk or bag storage, and build a facility. Be clear on what the exposed peripheral structure area per unit is. Pick building materials carefully and see if you can integrate flexible and innovative solutions. For instance, structural steel dairy sheds are designed to ensure adequate ventilation, efficient management and maximised cow comfort for optimal milk yields. To get operations off the ground, one has to address the financial side of things. The investment needed here is higher than with non-organic farms, but if you can help it, avoid borrowing money. In recent years, debt has laid waste to numerous organic farms. It is preferable to start small, but with your own savings piled up. Of course, the decision in this department ultimately depends on your ambitions and whether you aspire to run a family farm, a small-scale operation, or a huge farm that caters to national or international market. Last, but definitely not least, you must decide on what to grow. At this point, you have freedom, but only to an extent. Never lose sight of the feasibility of certain products that you evaluated in the market research stage. Also, remember that farming is hard work. What makes your life easier is growing what you like. Filled with passion, you can get through the toughest of days and overcome any challenges on the road to success. It pays off to invest in marketing your products as well, so don’t skimp on this activity once you set the wheels into motion. 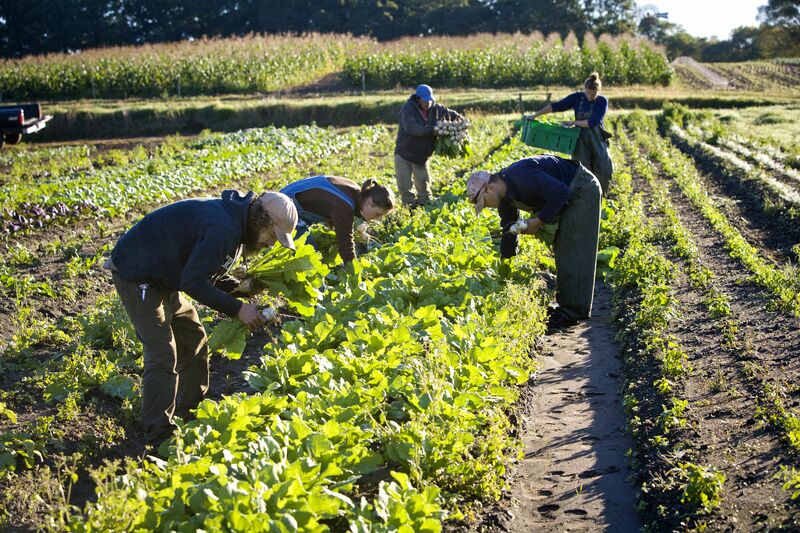 Organic farming is a gratifying career choice that holds much promise in today’s market. At the same time, this endeavor is not something you can afford to take lightly. You need to plan for a successful business from the ground up. So, make certain it is realistic and viable, and not just something you dearly dream of. Set your financial house in order. Get the necessary licenses and permits. Design and build your compound. Come up with a continuous flow of goods in the market and reap your rewards. Our Mother Earth is not doing great lately, and it’s mostly our fault. People have been abusing resources, polluting the environment and giving nothing in return for centuries. Now is our last chance to forget about our old ways and become eco-friendly and sustainable. In order to do so, we don’t need to return to living in caves, but we only need to shift our construction methods to a more eco-friendly path. So, if you also want to help save the planet, here are some of the best ’green’ construction materials with an exciting future. Wooden beams are a thing of the past. Modern builders are rapidly switching to customized recycled steel beams and panels that are more durable (which is especially useful in areas prone to strong winds and earthquakes) and much more eco-friendly. It’s estimated that an average house requires between 40 and 50 trees to build, while a frame from recycled steel only requires a material amount that equals to about 6 scrapped cars. Insulation is also getting more natural. Green insulating foams made of bamboo, kelp, hemp and recycled PET are already used for different types of insulation. Some of these foams offer great moisture resistance, as well as great insulation and almost zero air pollution. If you recycle plastic bags, one of them might end up as a part of your eco-friendly home. Wood and plastic composite lumber is a 50-50 combination of recycled plastic and wood fibers, and it’s a perfect material for deck building or outdoor playgrounds. This material is much more durable than wood alone, but also more rigid than pure plastic. It’s also much less toxic than plastic, and it helps clean out garbage dumps of millions of plastic bags. There’s nothing more Earth-friendly than the earth itself, so many builders are going back to old building techniques of ramming earth. Using this technique, walls can be created from nothing more than tightly tamped down dirt put in wooden forms. Even though this green method of building isn’t exactly an innovation, it certainly is coming back on the construction map. Most construction contractors in Australia are opting for precast rammed earth, handling it requires finding a company that offers crane hire in Sydney, but the final product is truly amazing. Bamboo is another old building material that’s becoming more and more popular and for all the right reasons. Bamboo has many properties perfect for modern building, such as strength, light weight and renewability. This practical building material can completely replace heavy, imported materials and provide a good alternative to concrete constructions, especially in areas rich in locally-harvested bamboo. Mycelium might sound like something straight out of a sci-fi movie, but actually, it’s nothing more than dry roots of fungi and mushrooms. It’s completely natural since most of the work is done by fungi themselves. 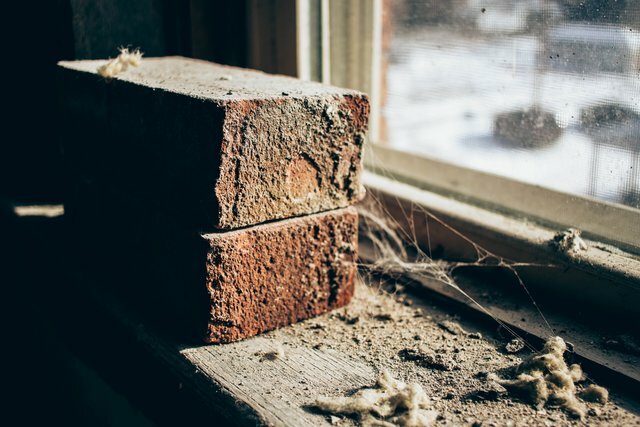 Mycelium can grow around and in between other natural materials put in molds, and after the mold air-dries, we get lightweight, strong and natural bricks ready for building. The demand for non-flammable building materials is rising, especially in areas prone to bushfires such as Australia. However, scientists have managed to create a natural fire-resistant insulating material made of fibres of the seagrass called Posidonia Oceanica (also known as Neptune Grass). This seagrass has a very low impact on the environment, is non-flammable, resistant to mold and suitable for both thermal and acoustic insulation. There are also fire-resistant options for building exteriors. Wall coverings made of cost-effective non-combustible cladding systems are lightweight, easy to install and come in a variety of colors. This new material is made out of recycled steel dust leftover from the steel industry. It is used to create a building material similar to concrete, but stronger and more eco-friendly. The highlight of this material is its ability to absorb and trap CO2 during the drying process, which makes it not only CO2-efficient but actually CO2-neutral. Low-E windows (the E stands for emissivity) are windows made with a clear coating of metallic oxide which stops the heat from escaping the building in the winter and entering in the summer. The reason this material isn’t used more often is its price. These windows cost 10 to 15% more than regular ones, which pushes away many buyers. However, low-E windows can reduce your heating costs up to 20%, which means they can actually save money. If both construction industry and buyers make a shift towards eco-friendly building materials, we will all have a much brighter and greener future. According to the Environmental Protection Agency (EPA), an average American spends almost 90 percent of their life indoors, and most of that time is spent in the living room. People don’t often perceive this as a problem, since they consider their homes to be safe and healthy. The truth is that indoor pollutants are just as dangerous as the outdoor ones (if not more). Luckily, there are ways to make the spaces we live in healthier. Here are some things you can change in your living room that will drastically improve its influence on your health. Did you know that the paint on your walls can emit harmful gasses that can find a way into your lungs and eventually harm your health? Before painting your home, you should check whether the paint you want to use contains VOCs (volatile organic compounds). There are some paint colors that have low levels of VOCs, but it is always better to go with the ones that are completely free of these toxins. Dust on the bookshelves surely looks bad, but there is much more to it. Dust mites are one of the most frequent indoor air-pollutants, and they can trigger allergic reactions or cause even more harm. Regular dusting will keep you and your family safe. Vacuuming (twice a week) is also an important part of the cleaning process, and to avoid just spreading the dust around, it is best to use a steam-based vacuum cleaner. Cleaning is important, but if it is done with products that contain chemicals and toxins that can harm you, you are not really doing yourself a favor by using them. With that in mind, you should turn to organic cleaning products or make your own cleaning mixtures by using simple ingredients like vinegar, lemon juice and baking soda. Most indoor pollutants settle in the air. Besides addressing the problem at its roots, you should also try to purify the air inside your house. This can be done by introducing houseplants ‒ which are natural air purifiers ‒ and using air-purifying machines with HEPA filters capable of minimizing the harmful particles in the air. Do you feel unhappy and fatigued when spending a lot of time in your living room? Poor lighting might be the reason. Lighting can not only affect your mood but also cause headaches, eyestrain, emotional stress and sometimes even physical illness. If you notice that lighting in your living room is too bright, too low, or too cool, any reliable Sydney electrician can change it completely and adapt it to your space and needs. High pile rugs can do wonders for the décor and introduce a warm texture. However, they are also a perfect habitat for allergens and dust. This issue can’t be resolved even with regular vacuuming. That’s why it is better to compromise and opt for low pile rugs, such as flatweave, which will make it difficult for tiny particles to settle and are also easier to clean. The bottom of your outdoor shoes might be the dirtiest and the most germ-affected spot in your home. It is never a good idea to leave them on when entering your living room, unless you want to take all the germs with you. Instead, get a pair of indoor slippers and make a switch between the two at the entryway. By following these tips, you can make your living room much healthier for you and your household members and finally turn it into the safe haven it should be. No matter what kind of factory you own, dealing with wastewater is of huge importance both for the health of your employees and the environment. Not only this, but any faulty actions regarding your wastewater can earn you different fines and lawsuits, which is definitely something you’d want to avoid. Therefore, this article will tell you more about the importance of wastewater management and possible outcomes if you leave your wastewater untreated. Your wastewater is a byproduct of your factory's uses and processes, and the pollutants in it tend to vary depending on what the water was exposed to. However, there are certain contaminants that can be found quite often in wastewaters factories have to deal with. Metals are one of the most common pollutants that can be found in them. They are usually present in wastewaters of factories that deal with household piping and manufacturing processes. Other dangerous pollutants are pathogens, which are similar to fungi and lead to various health issues, some of which can even result in death. Other common pollutants include synthetic chemicals, total suspended solids, total dissolved solids, nitrates, and phosphates. No matter which of these pollutants there are in your factory's wastewater, it's very important that you deal with them correctly. Of course, the pollutants in your wastewater have to be identified, and certain measures have to be applied accordingly. 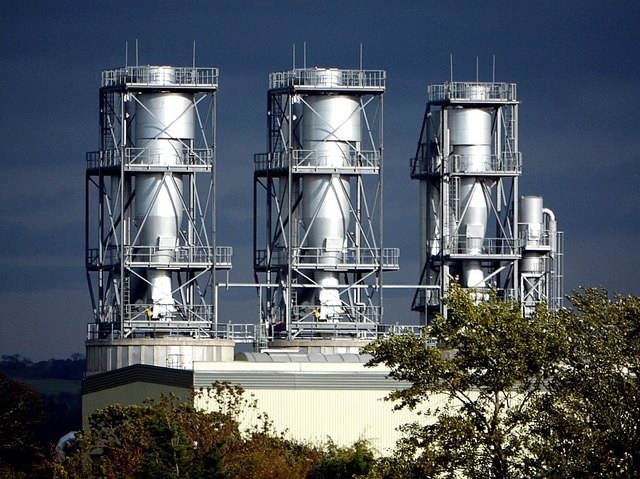 There are numerous ways factories deal with their wastewater. However, your options for dealing with it depend heavily on what your factory is doing. 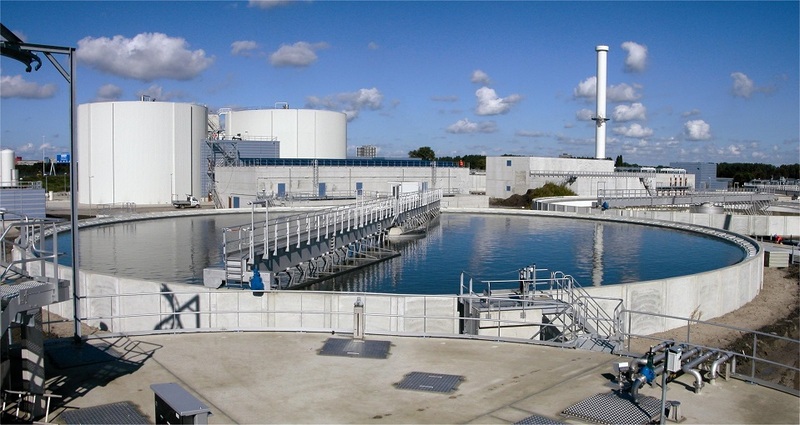 One of the options many factories go for is discharging wastewater into the local municipality. Of course, if you want to do this, you’ll first have to check with your local municipality what kind of regulations regarding wastewater there are in your area. 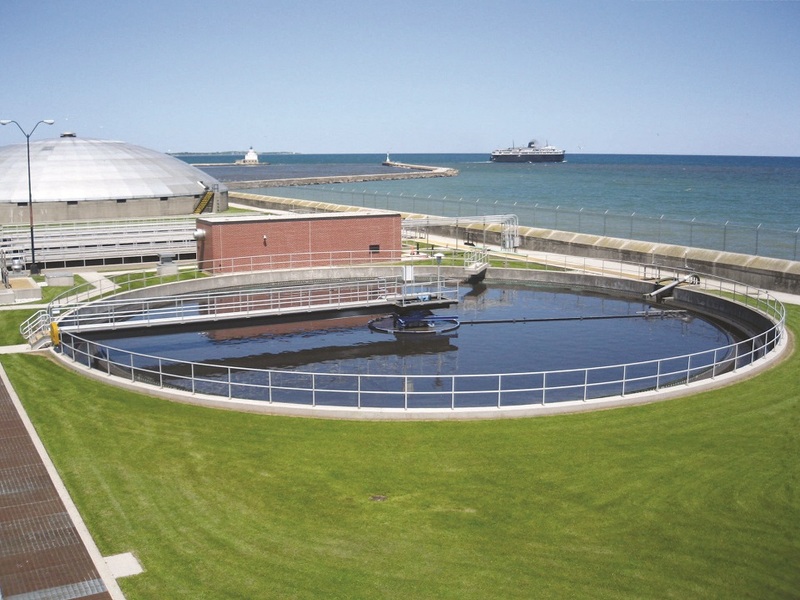 Most municipalities will demand that you clean your wastewater before you discharge it. Another common way of dealing with it is recycling. This means you can actually reuse your wastewater and thus avoid discharging it. Of course, recycling means you'll need special equipment that's going to make it usable again. We are talking about machines such as heat exchangers which enable heat transfer from wastewater to process water you’re going to use. With so many pollutants that can be found in wastewater, investing in wastewater management is of great importance. These pollutants can seriously harm people and nature around your factory and that's why wastewater has to be dealt with correctly. Moreover, if wastewater isn't managed properly, it can also affect your process and hurt your products. However, there are wastewater management regulations that have to be met. If you fail to do so, you might be looking at huge fines which are always going to hurt your work. As mentioned above, recycling is one of the most common ways factories deal with their wastewater and there are several reasons why you should consider it. First of all, it’s important to say that even though the earth is 70% water, water isn't an infinite resource as many people believe. Due to the fact that there are so many water-stressed countries around the world, recycling wastewater is a great idea. Also, this means you won't have to finance transportation of your wastewater and you'll lower pollution risks. Due to the fact that pollutants which can be found in wastewater can seriously hurt both people and environment, it's absolutely necessary that you invest in your wastewater treatment. Buying wastewater management equipment is a much better option than having to pay huge fines or cause someone serious health issues. In the future, we can only expect to see more technologies designed especially to help factories improve their wastewater management, which means you should keep an eye on new machines you can get for your factory. 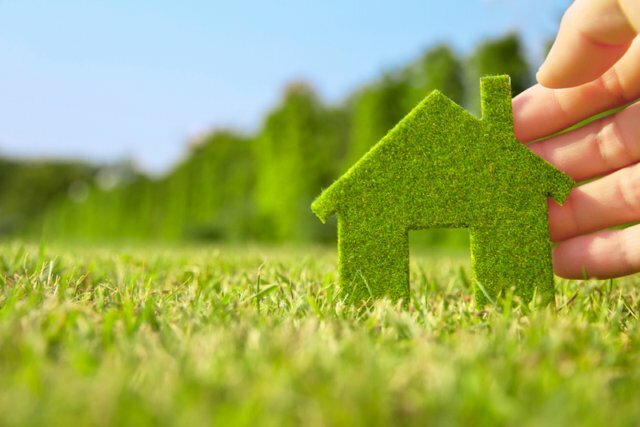 Whether you are a builder, a developer, or a homeowner and want to construct something that can potentially affect the environment, you will have to hire an environmental consultant. If you don’t know what can affect the environment, then let us quickly give you all the ins and outs. Constructing man-made ponds, building near wildlife habitats, tinkering with water sources, building on questionable soil, etc. can all affect the environment in numerous ways. That is why your local government has made the laws that are there to protect the environment from exploits. The only way to be certain that you are running the whole operation according to environmental regulations is to get an assessment from an environmental consultant. So, what are the traits of a professional environmental consultant? To answer that question, we have created this list of tips to find the right environmental consulting company for your job, so let’s just jump into it. Before you even start looking for a consulting company, make sure you are completely familiar with the project you are working on and what the final product will look like. An environmental consultant will make sure that everything is done according to the laws and regulations of your state, but it will be your job to set the goals and prepare for everything. For example, some environmental regulations will make you step out of your budget, so it will be your job to compensate for that. That is why knowing your limitations and knowing your project plays a crucial role. As with every business, there are some bad apples, some companies that don’t do their work properly. If environmental consulting is a completely new thing for you, it will be hard to tell apart the good ones from the bad ones. However, we have some advice for you. First, look at their previous experience. You can learn a lot about a company just by looking at whom they have worked with before. Second, look at their previous projects. Some companies don’t have enough experience with large-scale projects. Lastly, contact their old clients to see if everything checks out. It is one thing to read praise on their website, but if previous clients don’t tell the same story, it is usually a sign of trouble. To give you an example of an outstanding environmental consulting company, we recommend visiting the EnviroX Consulting website. They tick all boxes that we have previously mentioned and offer transparency from the get-go. Once you find a suitable consulting company, the next step is to create and negotiate a contract. Go through everything thoroughly, from start to finish. Describe in detail what their work will consist of. Ask for warranties, in case some task isn’t completed. Also, negotiate the price. Expenses pile up easily, so knowing the estimated cost will help you plan your budget. Lastly, set the beginning and end date. With jobs like these, it is important to create a deadline, otherwise, you risk blowing up your budget and messing up the whole operation. We have one last advice for you, and that is to check the work after it is done. Sometimes people overlook details and then there are companies that just look for ways to cut corners. To make sure that everything from the contract is completed, carefully go through it and inspect the finished project. Unfortunately, that is the only way. And that is all that you need to know when hiring an environmental consulting company. As you can see, it is not rocket science, but you will have to be thorough with your research, so you don’t end up hiring an inexperienced company. If you want to start purifying your drinking water , it’s important to get familiar with what kind of filters there are on the market. There are two most common kinds, Ultraviolet (UV) and Reverse Osmosis (RO) filters, and if you’re unsure which type to choose, here is a brief overview outlining their advantages and disadvantages. You will find out how they work and what their benefits and limitations are that will hopefully help you decide which filter to buy. Have a look. Reverse Osmosis filters work by extracting inorganic solids from water by pushing water through a thin semipermeable membrane. This membrane has a tight structure that is highly effective in extracting contaminants from the drinking water. Collected impurities from the filters are simply washed down the drain. 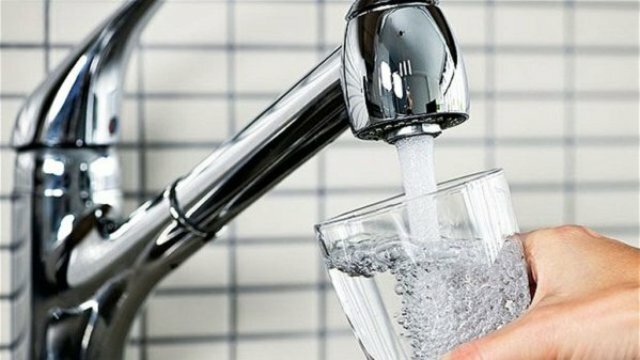 Just to name the few, a reliable reverse osmosis system is successful in removing lead, asbestos, chlorine, detergents, fluoride, nitrates, sulphates and pesticides from the water. All these contaminants can easily enter streams, rivers, and aquifers and get to your home. Another good thing is that Reverse Osmosis filters exclude ions out of the water, making your water pure of salts, sugars, and bacteria. Additionally, RO filters can also block radioactive elements like plutonium and strontium. Just like the UV filters, RO filters are affordable and require regular maintenance performed either by the homeowner or the expert. RO membranes and filters need to be replaced every 6 months to 2 years, depending on the water quality, water usage, and the type of system you use. Quality units, as this Clear Choice Water Filters reverse osmosis system, improve both the taste and smell of your water, making it perfect for drinking. Ultraviolet filters use rays from a UV light source and they use radiation to kill inactive viruses and bacteria. They aim at their DNA structure and successfully stop them from reproducing and spreading. UV rays protect against waterborne bacteria, mould, viruses, and other microorganisms that cause diseases. UV also eliminates hepatitis virus that can be resistant to chlorine that is used to disinfect water. Simply said, ultraviolet filters are probably the best defence system against biological contaminants. UV filtered water is completely tasteless, odourless and colourless which makes it perfect for drinking. Also, you will not need any professional help in maintaining UV filters, and the only thing you need to do is change the UV bulb yearly. Another upside is that the process of purification is relatively fast, so the production of the water isn’t limited. UV filters have many benefits, but they have limitations as well. UV filters work wonders on biological contaminants, but they cannot protect you from inorganic impurities. Contaminants, such as chlorine, heavy metals, and VOCs (Volatile Organic Compounds are chemicals that get into the ground waters during production processes of paint, petroleum and different refrigerants) cannot be removed from water by using UV filters. In order to ensure your household gets completely clean water, you might consider combining UV filters with Granular Activated Carbon filters or Kinetic Degradation Fluxion filters. The combination of those will filter out all organic and inorganic impurities and make your water completely safe to drink. As you can see, both UV and RO filter systems have their advantages and limitations. UV filters are unprecedented in their defence against organic contaminates, and RO filters excel in fighting inorganic impurities. Both are excellent, but they cannot produce completely pure water on their own. If you want to ensure you get the best quality water in your household, consider combining the two systems. This way you will be safe from both organic and inorganic contaminants. Before you decide, make sure to test your water and see what impurities it contains and then choose the water filter accordingly. Construction business in known to have a great effect on many aspects of our life and environment protection is most certainly one of them. For example, the US Green Building Council (USGBC) estimates that almost one third of raw material consumption and approximately the same percentage of greenhouse gas emissions are directly related to this field of industry. When you add the fact that more than 10% of potable water use is also closely connected with construction business, it becomes quite clear why companies from all over the world are looking into the ways to make their business more sustainable and environment friendly. Regardless of your specialization, both commercial and residential construction can really benefit from more sustainable processes. It can actually be your unique selling proposition that your customers will recognize and decide to hire you, particularly because the awareness of the importance of going green rises constantly. If your company manages to create such a market advantage, it will be recording much better results, while at the same time being responsible and respectful towards the environment. 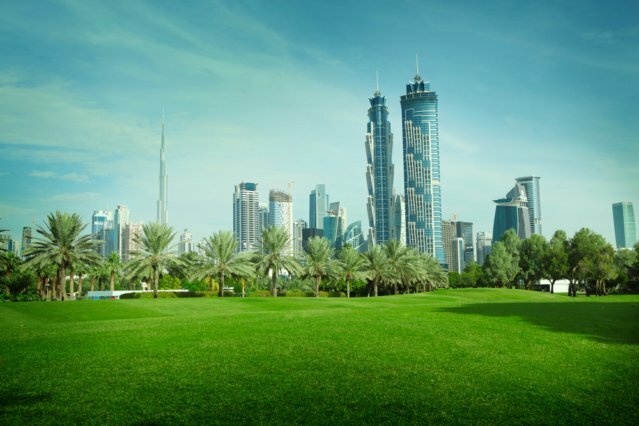 Whether existing public and commercial buildings are renovated and retrofitted or new ones are built, the use of environmentally responsible and energy efficient materials and technologies will create many benefits. Let’s have a look at some of them. It’s been projected that green and sustainable building revenue will continue to grow at this rate and pass $300 billion by the end of this year. The number of people employed in this industry is also continuing to grow and so is the demand for green building projects. That is an excellent opportunity for your company to increase its revenue if you are able to meet the requirements of the market. When you look at sustainable homes and buildings, you may not be able to notice the difference between them and traditional facilities. Still, specialized designs and materials that decrease the negative impact on environment will provide many advantages to those using the spaces constructed in this way. In order to be able to achieve this goal, you need to gather a team of motivated and skilled architects, construction engineers, suppliers of materials and equipment as well as experts in construction waste removal. Managing to create such a team will significantly increase your chances of boosting your revenue. Truth be told, it’s not cheap to create sustainable homes and buildings, since you need to be ready to splash out more initially. Experience has shown that green construction projects are up to 10 percent more expensive than traditional construction projects. Naturally, the exact costs depend on many factors, such as design, materials, schedule and location, but clients need to be ready to spend more up-front. Still, they can full expect their investment to pay off soon through lower electricity and water bills, maintenance fees and increased resale value of the property. Also, some countries offer special tax incentives, which stimulate sustainable construction and, depending on your location, this could be another significant saving. Needless to say, such tax credits come with numerous rules and requirements, but every knowledgeable contractor or construction company should know what is necessary. This is also another service you can offer to your clients – advisory and consulting services. This is another area that has become much more popular recently. People are using the opportunity to have their existing facilities remodelled and retrofitted in a way that will bring about all the benefits of a green building. Companies which focus only on new buildings are missing out on great opportunities to convert and improve facilities with tradition and history into much more environment-friendly places and to make more profit. 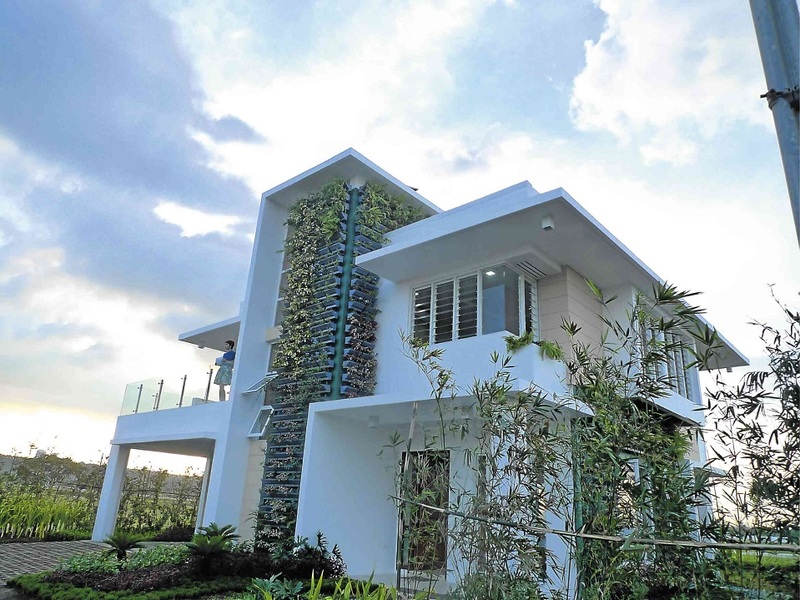 More and more homeowners are remodelling their homes using eco-friendly materials and energy-efficient appliances, smart designs and other features of green living. 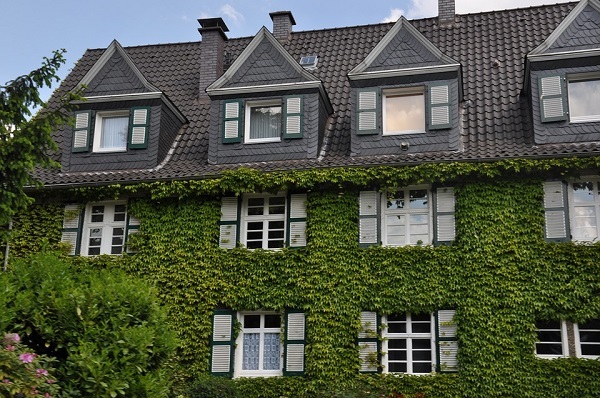 Again, the initial investment, which can be substantial, is usually very quickly paid off through lower bills, maintenance fee and increased resale value of the property. With more and more companies and construction managers doing everything they can to become certified in sustainable construction, you need to make sure you don’t fall behind, since this is undoubtedly an industry on the rise and its seems that the growth is here to stay for a while. Failing to respond to the modern-day demand might see you without job sooner than you think. The increasingly strict rules and regulations that impose requirements related to construction and environment protection are serving as a filter that separates those who are ready and capable to adapt from those who haven’t succeeded or even tried to adapt their business to the new circumstances. “Any naturally occurring, theoretically inexhaustible source of energy, as biomass, solar, wind, tidal, wave, and hydroelectric power, that is not derived from fossil or nuclear fuel.” – This is the definition of renewable energy. In other words, the movement of wind and water, or the heat and light of the sun are all potential renewable energy sources! The first thing that comes to mind when you think ‘renewable energy’ might be a very progressive, clean technology, but, in truth, our ancestors were using nothing but renewable energy (with a few exceptions) before the Industrial Revolution brought coal to the equation. In addition to being a history of our entire civilization, the discovery and utilization of fire is the beginning of the use of renewable energy. Other uses of renewable energy before industrialization include animal labor (using cattle to drive ploughs and turn millstones), wind for traveling across bodies of water, dams to harness the power of the flowing water and many more. Quite obviously, wind turbines harness air currents and convert them into power. Wind power is plentiful and inexhaustible and the use of wind turbines is only limited in areas that aren’t windy enough all year-round. Wind turbines come in different styles and sizes, but the most common, “horizontal axis” design works by having two or three blades spin upwind of the tower that the turbine sits on. The rotor is attached to a low-speed shaft, that is further connected to the gear box that spins the generator, which produces energy. The downside to powering your home with a wind energy is outlined in the fact that some areas have deemed it illegal and that wind power systems tend to be quite loud. Harvesting renewable energy from water comes in two shapes: the hydroelectric and the hydrokinetic energy. Hydroelectric power is the world’s largest source of renewable energy and it works by using water to spin a turbine, which further rotates a generator to create electricity. From a rough standpoint, one gallon of water per second falling one hundred feet generates one kilowatt of electricity. Hydrokinetic energy, on the other hand, is based on waves crashing on the beach and rivers rushing through sloping valleys. The gadgets called “hydrokinetic energy conversion devices” are either wave energy converters (WECs) or rotating devices. The converters use the motion of two or more bodies relative to each other – the first one is acted on by the waves, while the second one works as a reactor. The rotating devices are pretty much based on the wind turbine technology. Last but not least, solar power still remains the most popular form of renewable energy. Seeing as the sun is, from our perspective, an inexhaustible resource, using it to supply a significant portion of our electricity needs is quite a logical idea. Solar panels are definitely the most common devices related to solar power, but these do come with one major deficiency – they obviously don’t work during nighttime. Fortunately, there is a way around this and the solution is outlined in energy storing. A brand-new energy storage evolution comes from Tesla Powerwall 2, which has an incredible 14 kWh of battery storage! Using solar panels to harvest energy from the sun in combination with batteries to store the power is the renewable energy solution of the future! The focus of humanity needs to be turning towards renewable energy, regardless of whether we’re talking about wind, water, or sunlight; in reality, the solution to our pollution problem is likely a combination of the three! Not that there are many households that actually support solar energy, we could all use a little education on the matter. Once solar energy benefits become available, i.e. known to the broader public, the chance to actually switch to solar will be getting bigger by the second. Solar energy is one of the best ways to ensure you have plenty of energy, without investing too much or causing harm to your immediate environment. Besides being an affordable alternative, there are many more benefits you should review before upgrading your home to solar power. Solar energy is a renewable energy source, which means you only need the sun to ensure you’ve got enough energy for your daily chores (run appliances, gadgets, etc.). Luckily, the Aussies have plenty of sunny days, which means your battery will be filled and ready at any time. Although it might seem you have to pay a lot at once, over time, your rig will allow you to save some money. Furthermore, there’s a low payback period for those who wish to take out a loan on it. Reports from 2016 show that Australians are hooked on solar energy and aren’t afraid to upgrade. It’s a smart – AND CLEAN - investment, after all, so we totally understand the rush! With a government incentive to help you get started, your home is bound to become more sustainable over time. Since the energy crisis in southern Australia, it’s become even more attractive to get your solar panels. Plus, you will be giving a bit back to nature and the government as well. Actually, feeling like you are contributing on a global scale is pretty great, don’t you think? No matter how long you plan on staying in your current home, there’s a chance that you might sell it sooner or later. Adding solar panels will only increase its value, especially if you install other upgrades to make it better. Think of it as a long-term investment that will make your home better. Sometimes it’s rather hard to plan how much energy you will need for your home, and with solar energy, you’re not at the mercy of an existing gridline. Since you can get solar panels from Sydney, transport costs won’t be too expensive either. This is why the best thing to do is explore your options before you purchase and opt for the best quality possible. No matter how much you want to make energy usage calculable, it’s impossible in most cases. However, with a professionally installed solar energy system, you will be able to predict exactly how much you have to pay, every month. Without any hidden costs. Phenomenal AND cost-effective! The only bad side of solar energy is when you don’t have enough sunny days, which you have plenty of in the great Outback. This is exactly why Australia is investing in one of the world’s biggest solar energy farm, with a huge battery to back up everything. Over time, it will help alleviate the ongoing energy crisis. Besides helping your own home become better, the solar energy industry allows for more people to find jobs. With a bigger demand from year to year, it comes as no surprise that there’ll be a shortage of workers soon enough. You cannot stop prices from rising, and no matter what you do, you have to go with the changes, i.e. pay whatever it is they tell us we need to pay. Still, with more alternative energy to help the system out, it is possible to keep a steady price range. With the chance to improve your environment and open up new jobs, it’s only a matter of time before the solar energy business expands even more. Australia is already becoming a major force in solar battery sales, and it doesn’t seem it is about to slow down at all. With new battery technologies being developed, the market will become ever more profitable. There are a number of reasons to repurpose your farm for sustainable farming, one of them being increased efficiency and decreased upkeep and production costs. But beyond that, sustainable farming entails the simple premise of introducing environmentally-friendly practices and techniques that will not only preserve the nature, animal welfare and the surrounding ecosystem, it will also aid in the battle against global warming by cutting down on greenhouse gases emission and energy and water consumption. The benefits are numerous to switching to sustainable farming, and here is how you can do it safely and effectively. One of the key elements of sustainability is giving back to nature as much as you are taking from it, if not a bit more. Given the fact that agriculture is the leading consumer of fresh water in the world, it’s very important to asses where your natural resources are coming from and what you can do to minimize their consumption. One of the things you can do is change the way you use water for irrigation purposes and introduce an eco-friendly irrigation system such as rain water harvesting. 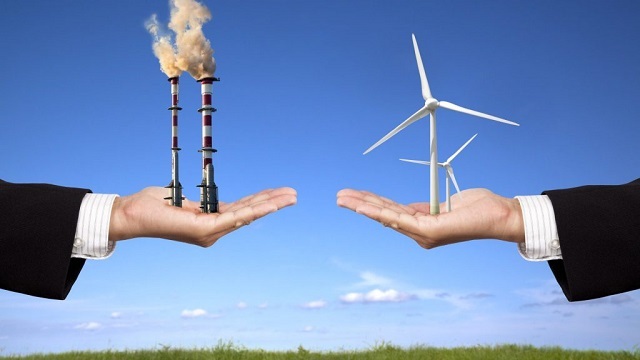 Additionally, you want to minimize the negative impact of energy consumption and the burning of fossil fuels by implementing a solar, wind-powered or other renewable energy source to power you farm which will in turn result in decreased operational expenses, among other, eco-friendly benefits. If you want to minimize expenses, save the environment and boost productivity, you need to think of areas where you can implement a recycling practice. This means using recyclable materials, investing in quality reusable tools and equipment as well as reducing and optimizing the consumption of resources. Also, implement some smart ideas such as attracting animals that are beneficial to your operation, like birds, ladybugs and bats that will feed on insects but not on the crops. Introduce managed grazing, the practice of rotating the grazing areas of livestock - this will reduce erosion, help with soil fertilization, and control weed growth. Soil structure, acidity and care are your most important factors that will determine the growth of plants and the health and quality of livestock. 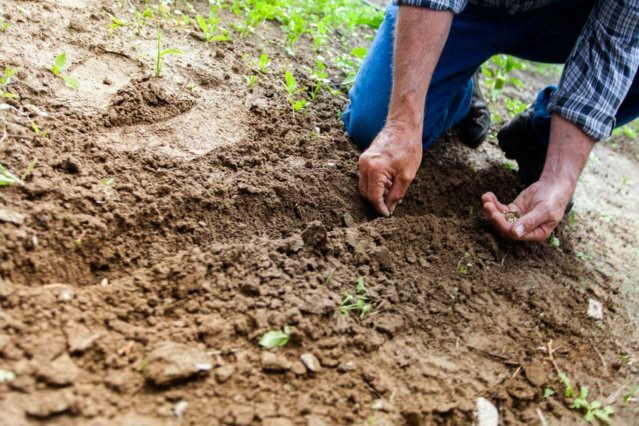 Therefore it’s imperative to check the soil for its fertility, differences in acidity that suit different types of plants and animals and finally, to determine the best upkeep practices. These are very delicate tasks and they are performed by professional geotechnical engineering consultants that specialize in soil assessment, management and green waste removal practices. Speaking of waste removal, sustainable farming means cutting down on waste production and eliminating waste accumulation and transportation of non-recyclable materials to landfills, by implementing recyclable, reusable and renewable practices across the farming operation. Managing the soil properly will mean the difference between healthy, sustainable agriculture and a red light from the governing bodies. 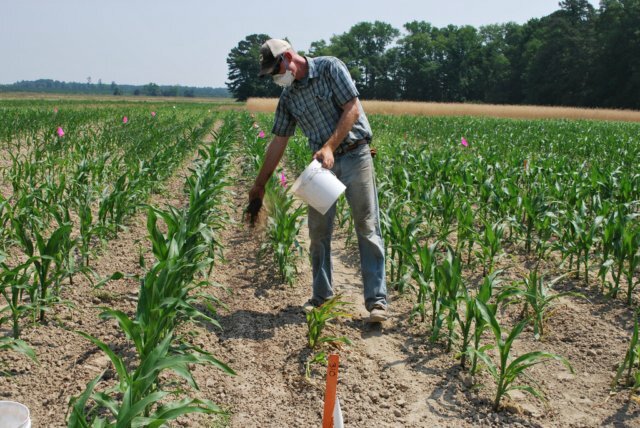 Some of the best practices include managing soil distribution. This means that you should limit and eliminate any practices that might disrupt the health of the soil, such as excessive fertilizer or pesticide use, improper use of inputs, compacting and tiling. Secondly, diversify your crops and plant crops throughout the year. Biodiversity feeds the soil with more nutrients and helps control weed growth and the spread of disease. Additionally, you can help feed the underground root network by growing living roots, as root sugars give the necessary organisms to the soil in order to promote plant growth and nutrient distribution. Sustainable farming is not a taxing chore, it’s an investment for the future. With its eco-friendly practices and renewable production methods, sustainable farms are able to not only preserve the surrounding ecosystem and reduce the harmful footprint humans leave on the planet, but also bring healthier products to the consumers and minimize costs for the farmer. Waste management has become a serious issue in the world ever since the rise of industrialization and the population boom that started in the 20th century. With over 7 billion people across the globe producing waste within their homes, companies and communities, a need arises to educate people and promote waste management in order to battle the effects of global warming and decrease the harmful effect that waste production has on the environment. Start your waste management plan by writing down the amount of waste your household, company or project produces on a monthly basis. You can categorize waste into different types such as scraps, human waste, water waste, energy waste and natural materials. Additionally, remember to note the trash produced by excavation and building crews, if you are running a renovation project. Every waste management situation will have different parameters, so make sure to observe all crucial elements in waste production. When managing waste in your company, you will have to account for the amount of waste that every employee produces and that will include water, energy and material waste. After you’ve assessed the amount of produced waste, you can divide it into recyclables, reusable materials and refuse. Recyclable waste is usually consisted of flyers, clothes, bottles, plastic and paper, among other. Refuse materials are mainly consisted of kitchen and industrial waste in the form of old cleaning supplies, cords, bulbs and electrical trash, and is best reduced to a minimum by limiting consumption and opting for more durable, long-lasting items, such as switching from regular lighting to LED lighting, etc. Lastly, reusable “waste” can be anything you can make use of for a prolonged period of time, such as partially printed paper, delivery boxes, jars and paper bags. Once you are finished with categorizing and have assessed the amount of waste, you’ll need a concrete plan of action for each type of waste. Note that waste disposal is not cheap and it’s always better to prevent waste accumulation and production than to deal with excessive amounts of it every month. Along with being better for your budget, prevention is eco-friendly as you are reducing the amount of greenhouse gas emission and waste production. You can limit the amount of resources you use that later become refuse and use only the reusable and recyclable materials. Instead of constantly changing traditional light bulbs that consume and waste vast amounts of energy, switch to LED lighting that preserves the energy and lasts longer. In addition to saving energy, it will also cost you less. Further, in order to reduce water waste, make sure that all water sources are only used when necessary and fix every leakage. Opt for water-saving appliances like washing machines, dishwashers and refrigerators that are energy-friendly. Recycling is fairly easy - you just need to love nature enough. Make sure to divide your recyclables into different bags and learn the schedule of your neighborhood’s recyclable waste pickups. Finally, you can move onto planning your refuse waste management. Trash is bound to accumulate at some point, and after you’ve implemented all the new rules of reusing and recycling, it’s time to get rid of the trash you are left with. Start by noting the means you will use to dispose of your trash by assessing the cost, choosing removal crews and types of vehicles they have depending on the amount of waste you’re dealing with. 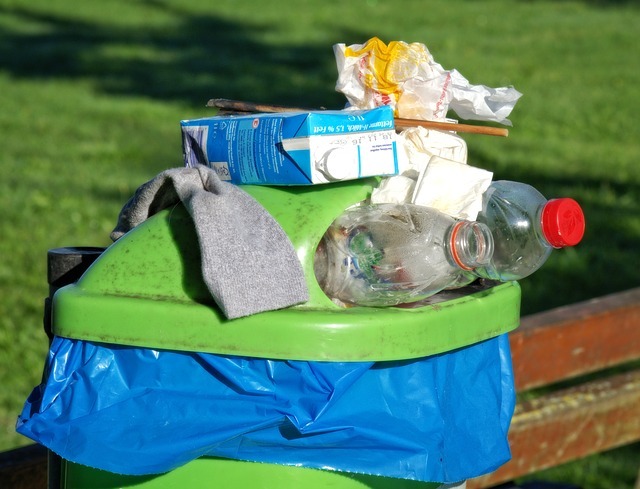 Waste can often be difficult to classify, and in order to avoid hitting a roadblock in your disposal efforts, make sure to consult with environmental experts about proper waste classification. Lastly, draw up concrete goals for you waste reduction project. You’ll need a realistic set of goals if you want to make your waste management plan work. You can define these by assessing the percentage of trash you want to reduce over a period of time, all the while increasing the use of recyclable and reusable materials. Waste management is no easy task as it requires planning, preparation, time and effort, but with these guidelines you will be able to create a concrete plan of action to boost your waste management efforts and make the process as quick and efficient as possible. We’re in the process of poisoning our planet. Luckily, people are becoming aware of this, which is the very reason behind the term ‘ecological awareness’. Plants and factories, however, have a bad reputation in this department, because they really are one of the main culprits for global pollution. Fortunately, the manufacturing process is slowly becoming eco-friendly and if you want to make your own plant as green as possible, you can start with these five tips. The first step towards “greening” your manufacturing plant is finding out how much energy it is actually using. The final goal here is, of course, reducing the overall usage. You are probably aware of some rough estimates with regards to how big a number is in question and, without a doubt, you know exactly which pieces of technology are the main culprits; we’re talking boilers, heaters, conveyor belts, electric motors, air compressors, chillers and the like. Without a proper energy audit, however, you’re going to miss out on key data, which, if presented before you, will fill you in on the exact items and processes that need to be closely monitored and probably tweaked or replaced. For some reason, factory owners don’t hold renewable energy in highest regard, probably because the whole thing sounds too good to be true and owing to the fact that plants do need a ton of electricity. Renewable energy, however, is very misunderstood; in fact, you are probably underestimating the power of nature. For example, while all of us know all about solar power, wind, heat and even rain can also be used to generate enough energy to keep things functioning. Using a combination of at least two of the mentioned means of powering up your plant is the way to go – count on the fact that one element will experience downtime caused by nature. Sure, everyone is worried about the environment, but factory owners tend to worry even more about their business. This is exactly why many still don’t use recycled materials – for some reason, they think that this will affect their end product’s quality. Well, this simply is not true. 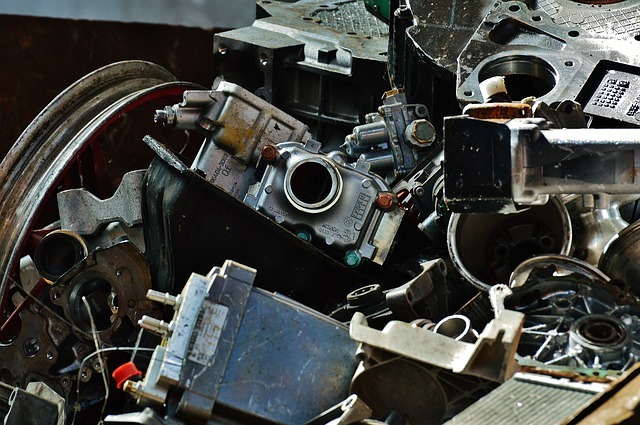 Don’t be reluctant about implementing recycled materials and make sure that you get your raw materials from a trusted vendor that makes them by recycling old items. As time goes by, the technology around us is evolving into “green”. Unfortunately, many simply choose to take this for granted and unreasonably consider any energy-reducing piece of equipment an unworthy investment. It is important that you realize that a ton of equipment in your factory uses way more energy than it really needs. Our advice is to start with water – regardless of what branch your manufacturing business is in, it relies on our planet’s most important liquid for a huge number of uses – from cleaning and production purposes to building and plant room infrastructure processes, water is simply everywhere. This is why equipping your plant with industrial UV water treatment systems is so important – they can be implemented into any water application that requires disinfection. By installing UV disinfection system, your plant can recycle and reuse industrial waste waters, thus reducing water usage and costs associated with wastewater discharge. Looking for likeminded manufacturing businesses (in terms of environmental consciousness) is very useful and even more important, and this is why you need to connect – fighting against the tide of nature-poisoning businesses is best done as a part of a movement. Connect and look for inspiration – IKEA is the leader in the field of using sustainable forestry and clean energy, so look up to them! Preserving our environment from impact of its biggest pollutant is of absolute essence and it is you, as a manufacturing plant owner, who can make a difference. Use these five ways to make your factory as eco-friendly as possible and don’t forget to follow the latest green trends! The year 2017 might as well be be the right one for you to make your home more energy-efficient. The first step in deciding which home improvements you should consider is hiring a non-profit or professional specialist who will assess your energy consumption, detect issues contributing to energy loss, and recommend measures to achieve greater efficiency. Here are some home improvements that will help you reduce energy costs while keeping your home green and your energy sustainable. Gaps and cracks in your home’s thermal envelope can significantly increase your heating and cooling costs and dealing with them should come first. Such places will be unavailable for fixing once you install insulation. Even when optimal air sealing and insulation is achieved, you should not forget about regular maintenance of your heating and ventilation systems to ensure their maximum efficiency. Sometimes, a full replacement of currently used devices should also be considered. Choosing the right frame and glazing for your specific circumstances and climate when replacing your windows will improve the overall energy-efficiency of your home. Wood frames may be the most expensive solution, but they provide the best insulation and curb appeal. On the downside, they are not an ideal solution for humid climates and they require regular maintenance and repainting. Double paned Low-E glass windows with a vinyl frame are a budget-friendly alternative that doesn’t require maintenance and repainting. A cool roof will keep the heat away from homes by reflecting it. To achieve its benefits, you can coat your existing roof with reflective materials, but this can just be a short-term solution as it requires reapplication after a certain time which depends on the roof type. Also, most liquid coatings work best with certain types of roofs, such as membrane-based and metal roofs. They can be applied to asphalt shingles as well, although they tend to chip and crack with age, which may also be an environmental concern. In this case, complete re-roofing might be considered. If you decide to go for it, choose metal. It may be an expensive roof material, but it pays off in the long run due to its significant benefits such as durability and low maintenance. Choosing the right solution for your roof may be difficult. If you would rather leave all these decisions and work to a professional, be sure it is someone who is insured with valid contractor bonds to guarantee project completion and financial compensation if anything doesn’t go as planned. 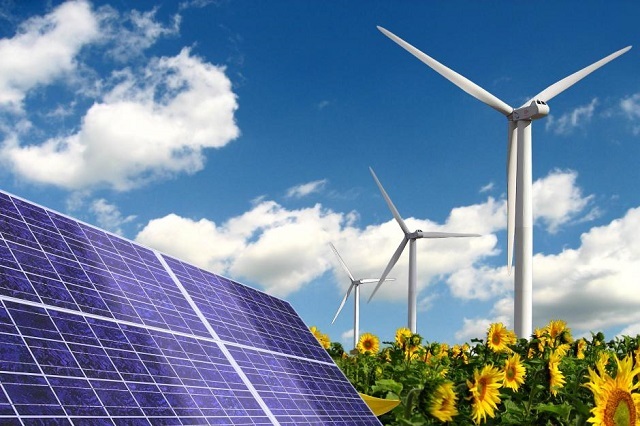 Think of introducing alternative energy sources as a supplement to your existing ones. 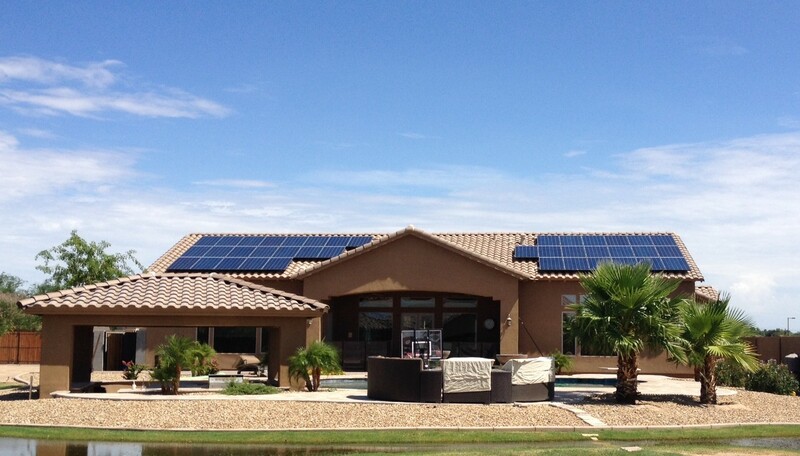 Many homes today enhance or even substitute traditional sources of energy with solar panels installed on their roofs. The benefits are numerous: lower energy costs, decreased use of fossil fuels, use of renewable energy, etc. Where applicable, consider other renewable energy sources such as wind. Wind generators use the same concept as wind turbines, but on a smaller scale suitable for home use. Wind energy can also be stored for later with batteries. Consider these sources as an addition to primary energy sources and optimize them by using them for specific tasks, such as solar water heating. Many communities around the world have used rainwater for different purposes, ranging from garden watering to drinking when proper water cleaning processes are involved. Even in cases when main or reticulated water supplies are available, properly collected and stored rainwater is a safe, cost-effective and sustainable water source. A water collection system will be especially worth the investment if you have considerable irrigation needs, experience frequent droughts or need to control drainage problems on your property. These home improvements will help you save money, enable optimal temperature levels all year round and increase your indoor air quality. 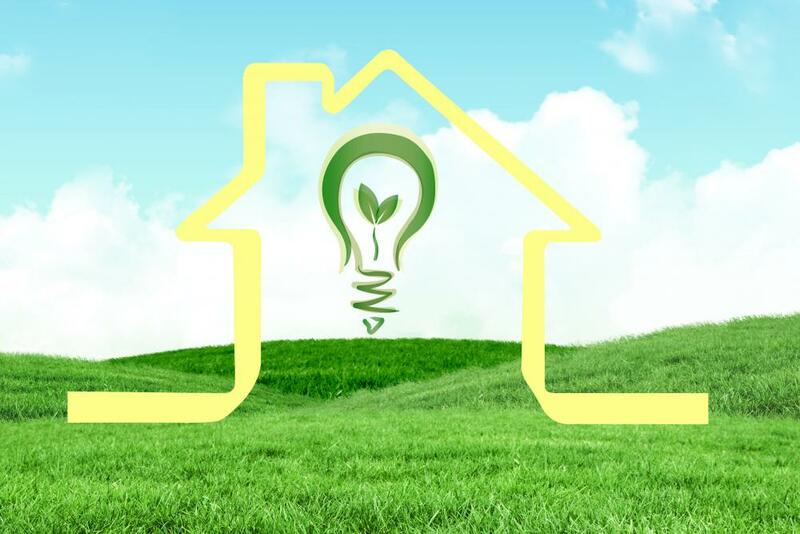 Making the most out of natural resources available to you will make your home more energy-efficient and green. It is no secret that going green is today more import than ever. 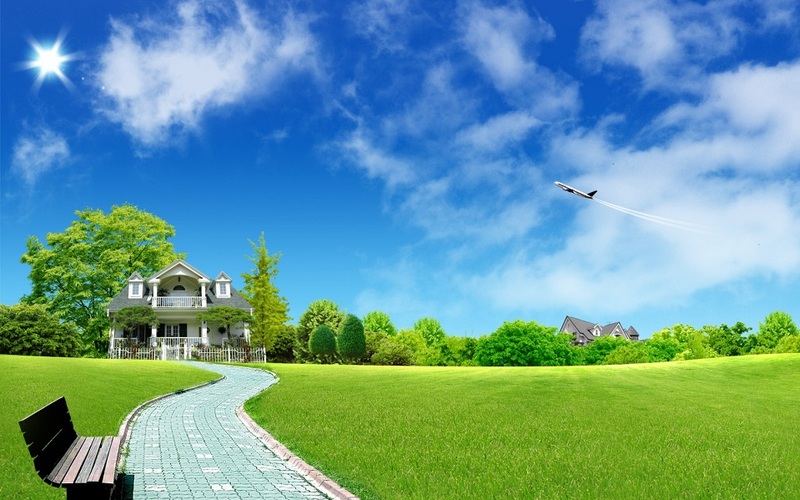 For this reason, many homeowners decide to turn their houses into real environmentally-friendly places. What’s great about this is that by aiding in preserving the nature this way you can also manage to save a lot of money. This is the case because the goals of every cautions homeowner should be using less energy, using less water and recycling. So if you decide to contribute to saving the environment, here are 5 low cost upgrades for your home that can do wonders for both nature and your wallet. 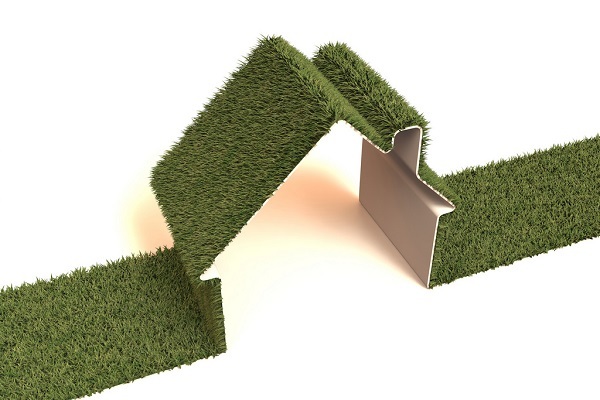 Insulation is something you should always consider when turning your home green. If there is more insulation in your home, you will be using less energy to keep it warm during the winter and cool during the summer. There are quite a few green insulation materials you ca choose from, with aerogel and cotton being among the most popular options. No matter which material you opt for, you will be guaranteed to use less energy during the whole year. Of course, this will also reduce the cost of your energy bills significantly. We have already mentioned how not letting either hot or cold air escape your home is one of the best things you can do when going green. Another great way to do this is to replace any old windows in your home. If there are any cracks in the window frames or the windows are simply too old, air can escape quite easily through them. If this is the case with your home, you are probably using much more electricity than it is necessary. Therefore, getting new windows should be your no.1 priority. Of course, you shouldn’t just stick to your house when going green. If there is a lot of place in your backyard planting a new tree is always a good thing to do. And if you want your tree to be even more useful, you should make sure you plant it on the west side of your home. That way, the branches will block the sunbeams during the summer, while in winter, bare branches will help allow infrared radiation that will warm up your home get through. Nuttall oak, red maple and weeping willow are just some of the trees you can opt for. 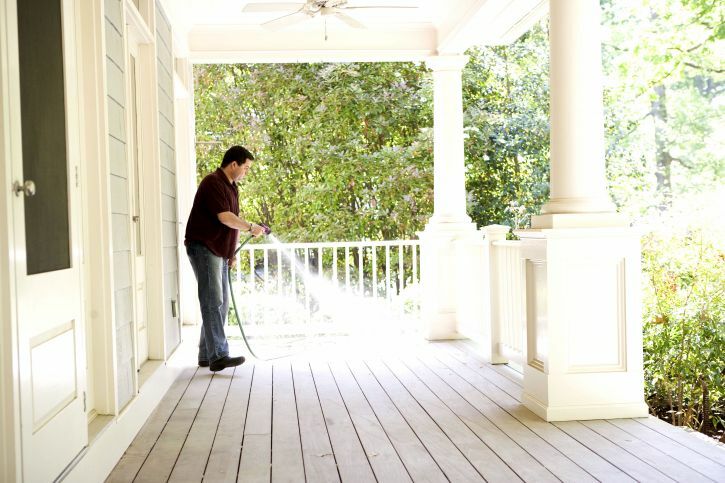 If you want your home to be more environmentally-friendly, you will also have to think about using less water. 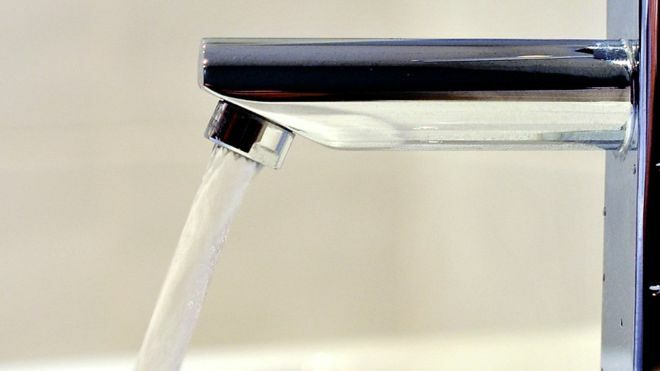 Even though turning off the tap when washing your hands and brushing your teeth is always a good thing to do, you should also consider installing some water-efficient fixtures in your bathroom. There are low flow shower heads that are just a perfect option for every green home. Also, there are aerators that maximize the flow rate of your faucets. If there are any leaks make sure you contact a 24 hour plumber in order to minimize the amounts of water that go to waste. 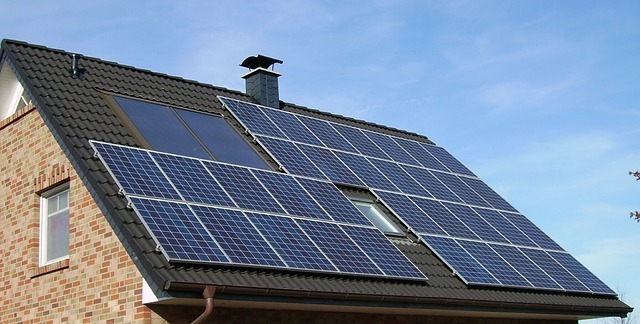 A large number of homeowners also decides to install solar panels when going green. With these, you will be utilizing natural power and minimize your use of electricity. Even though getting solar panels seems like an expensive investment at first, if you are planning long run, these will in fact help you save quite a lot of money. It is also important to mention that in some countries, homeowners who decide to get these receive bonuses and huge tax breaks. Having all of this in mind, getting solar panels is always a great thing to do, both for the environment and your wallet. Make sure you do all of these upgrades and you will be guaranteed to contribute quite a lot to preserving the environment. Bear in mind that you can never do too much when going green so keep looking for some further upgrades you can do. Running an unsanitary home is a known cause of many complications and allergies are one of the most common ones. Cleaning a home with non-toxic materials, however, should be of utmost importance and priority – not only do toxic chemicals poison the environment, but can also be quite damaging for your own health, as well. This article will guide you through the main points of non-toxic home cleaning and care, towards an allergy-free home. Although it is vital that you keep each room clean and, therefore, healthy, different rooms require different cleaning approaches and means to reducing allergens. Bedroom – Your bed is a perfect home ground for mites and allergens, so taking care of your bed cleaning should be done at least twice a week and vacuuming on a daily basis if you are prone to allergies. Encasing your pillows, mattresses and box springs in cover that are dust-mite-proof is also recommended. Living Room – The room where you spend most of your personal time naturally needs a lot of cleaning. Perform dusting and vacuuming at least every other day in order to keep the allergies at bay and pay special attention to allergens’ breeding grounds, such as curtains. If you are especially prone to allergies, think about removing your carpeting and opt for hardwood or linoleum flooring. Given the fact that dust is the most common cause of allergies, think about browsing through air purifiers for your living room – these are great ways to fight dust and make your air fresh and clean. Kitchen – Not only is keeping your food clean a key factor in maintaining your health, but the kitchen can also turn quite filthy, unless cleaned regularly. Make sure you wash your dishes on a daily basis – mold and food debris shouldn’t stay untended to for more than a couple of hours. Think about installing a vented exhaust fan, in order to remove cooking fumes and reduce mold-causing moisture. Bathroom – Now perhaps the biggest problem with bathrooms is the mold – unless you have tiles installed on your shower walls and next to your bathtub, you are bound to experience mold on your walls, which is a known cause of health problems. When it comes to bathroom flooring, use tile, vinyl or linoleum to make cleaning easier. Additionally, an exhaust fan will reduce moisture greatly, after steaming baths and showers. Keeping your house clean is vital for keeping the allergies at bay, even if you don’t have any significant allergen problems. These, however, aren’t the only health hazard an unclean home might cause, so exercising proper cleaning is vital, even if you do not suffer from allergies. Switching to Organic Make-up: Is Natural Better? Going green has been a growing trend in the world for many years as more and more people become aware of the negative consequences of using chemical-heavy products. Women, in particular, are seeking alternative, natural and healthier solutions to their everyday problems. Following this trend, even the cosmetics industry has made organic skin care and beauty products a standard. Because choosing these products shows that we are responsible and make smart choices not just for ourselves but for the environment as well. If you’re still indecisive about making the switch to organic makeup, here are a few reasons why you should go for it. Unlike conventional cosmetics, organic beauty products contain natural ingredients that have not been chemically treated in any way. They don’t contain synthetic additives, like artificial pigments, fragrances, preservatives, etc. Consequently, they cause far less undesired reactions and are considered to be truly hypo-allergenic. This makes them perfect for all skin types. Even the most sensitive ones. However, bear in mind that skin care and makeup ingredients are only loosely regulated and are considered to be harmless, until proven otherwise. Besides, a cosmetic product may contain as little as 1% of organic ingredients and still be labelled ‘natural’ or ‘organic’. And our skin is like a sponge, which absorbs everything that you apply to it. If you put on conventional makeup every day, the toxins from it will accumulate in your body over time and this may lead to serious health repercussions. For your own safety, always pay attention to the ingredients list and make sure that at least 95% of them are certified. Synthetically produced beauty products are packed with chemicals. When they’re used, these chemicals are released into the environment and pollute the air, water, and soil. On the other hand, natural makeup and skincare products are a result of environmentally sound manufacturing – from organically farmed ingredients, to biodegradable packaging (not all of them, though, so look for that three chasing arrows sign on the container before making a purchase). For all the above reasons, they release much less pollutants into the environment both while produced and while used. Another reason to switch to organic makeup is the fact that it’s never tested on animals. Even the big-box brands including organic options into their offer as proof of their social responsibility. Be a responsible consumer and show that you care for Mother Earth by switching to organic products. Another feature that has become a standard in cosmetics industry is dual-purpose makeup. It serves both to beautify you and nurture your skin. Of course, organic makeup is unrivalled here, since it contains only the good stuff and none of the aggressive ingredients found in the conventional products. Vitamins A, B, D and E are some of the main nutrients that keep your skin youthful and fresh-looking. Let’s not forget vitamin C, which has superb sun-shielding properties and provides a very strong anti-aging effect. Argan oil is also often used, especially in lipsticks, as an excellent moisturizer for chapped lips. Green tea extract soothes irritated skin, liquid foundations may contain maracuja oil or shea butter, which are known for their anti-oxidant properties and help you get smoother skin. Although not the most important aspect, there’s also the financial benefit of switching to organic makeup. Some people argue that organic products are much pricier than the conventional ones. But with this nutrient-packed makeup you will need much less skincare products and your wallet will thank you for that. Luckily for all of us environmentally savvy consumers, designers constantly keep coming with new eco-friendly flooring materials. So now there is a vast of flooring materials we can choose from when decorating our homes. Here is a list of both new and old flooring solutions green homeowners can turn to. Cork is one of the relatively newer flooring materials and is a great option for eco-friendly homes. It is harvested from the bark of cork oak trees. A great thing about it is that no trees have to be cut in order to get this material. Bark grows back every three years and that is what makes it a perfect renewable source for flooring materials. Cork flooring has anti-microbial properties which can help you in reducing allergens in your home. It is also fire retardant and it can act as a as a natural insect repellent as well. Because of the many colors you can choose from and its durability, cork is a great option for almost all rooms. People have been using carpet floorings for quite a long time now. Still, many toxins and volatile organic compounds are used in its production which made it a bad choice for the green homeowners. Luckily, now we can find some eco-friendly options as well. Carpet floors made out of wool are something you can go with. Wool is a natural resource that can be a perfect option for flooring. It can be dyed in any color and then be woven into a carpet. It is very durable and soft to walk on. Some of the most beautiful floorings are made out of hardwood. Still, hardwood is not considered an eco-friendly due to the deforestation concerns. But there are the ways you can use hardwood and still make your home eco-friendly. Reclaimed hardwood is a perfect option if you want to do so. Such flooring is made out of wood that has been cut down long, long time ago for some other purposes. Reclaimed hardwood can be a great choice for beach cottages and some older homes. Marble is another great material you can choose. Made out of natural materials, marble tiles can be a perfect option for your bathroom or kitchen. You can also get a marble fireplace which will help you use less electricity and go perfect with your marble flooring. Marble tiles can also be a great solution for outdoor flooring and pool coping. It is quite durable and easy to clean material. Marble will also give your home that natural look you were hoping for. With today’s technology and a designers’ imagination we now have many eco-friendly materials to choose from. But not only that these materials are green but they do not cost much as well. So today environmentally savvy consumers can have a perfectly green home without spending much money. Consider these flooring options and make sure you choose other home features that are nature-friendly as well.